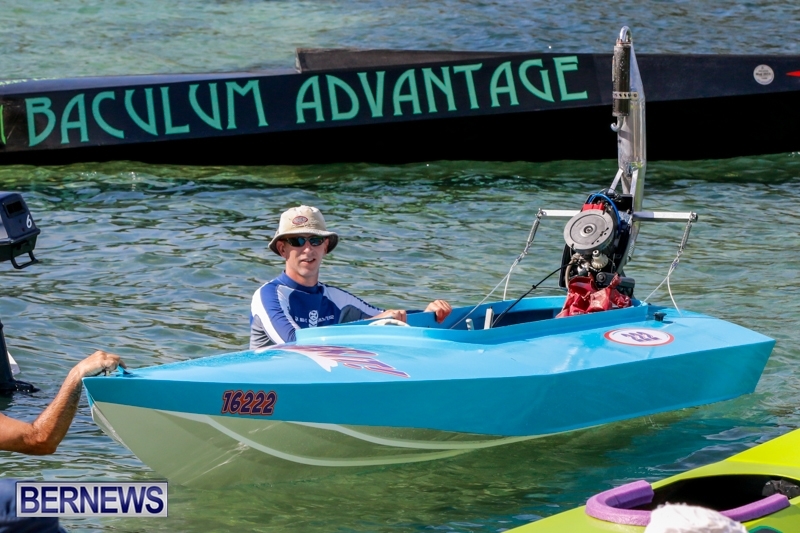 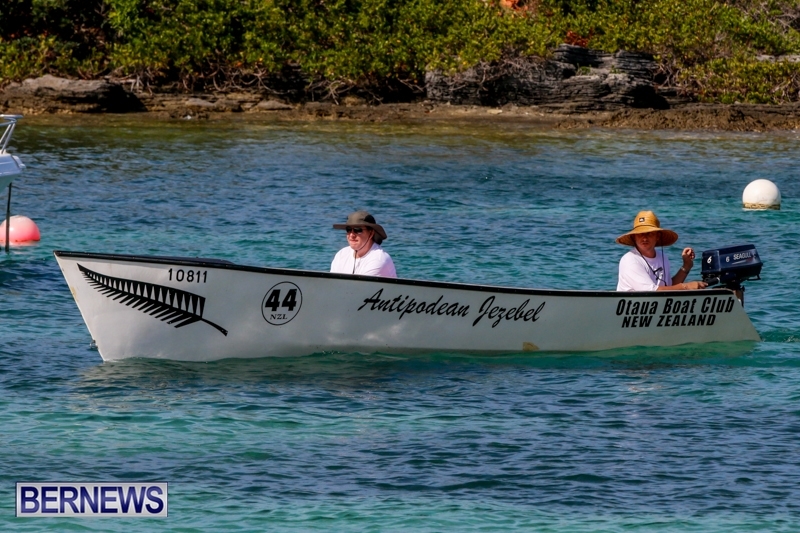 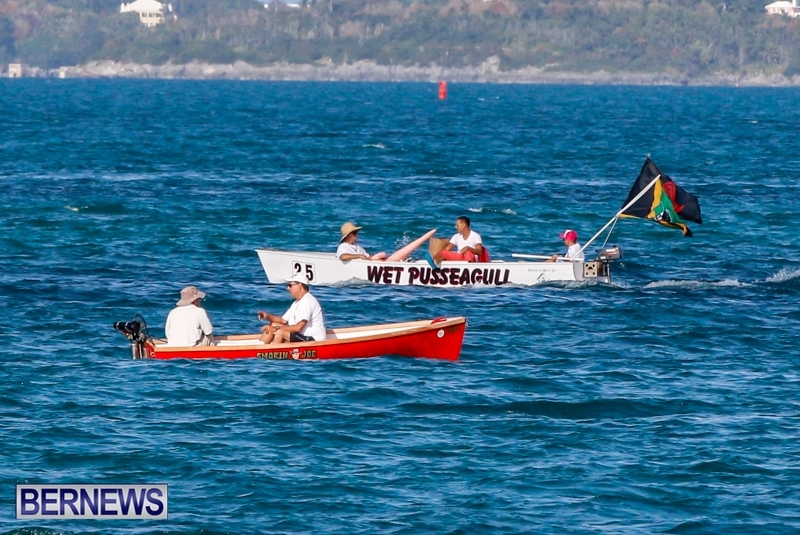 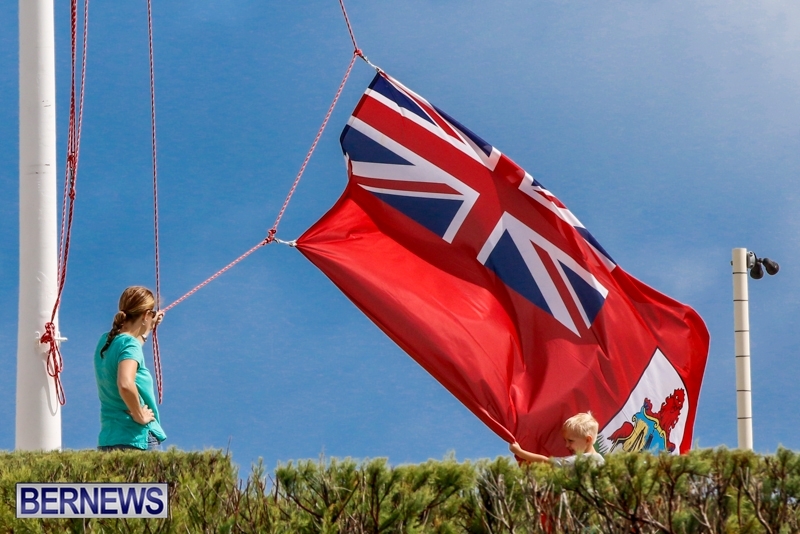 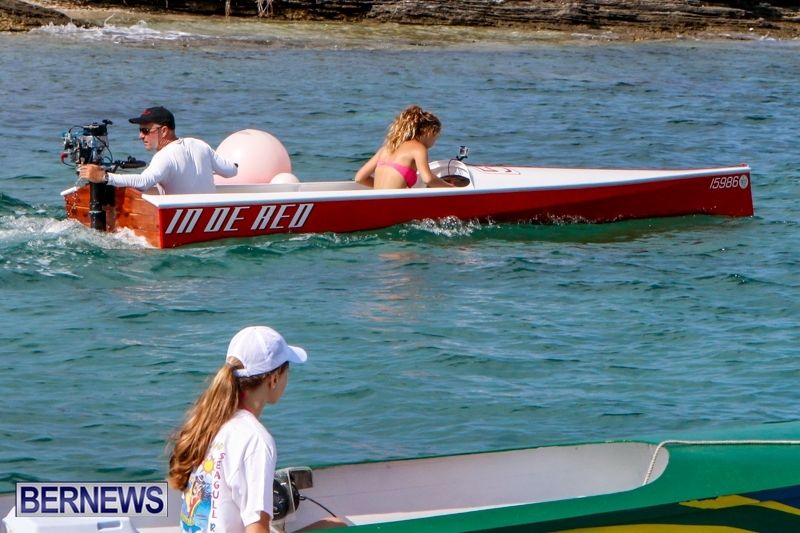 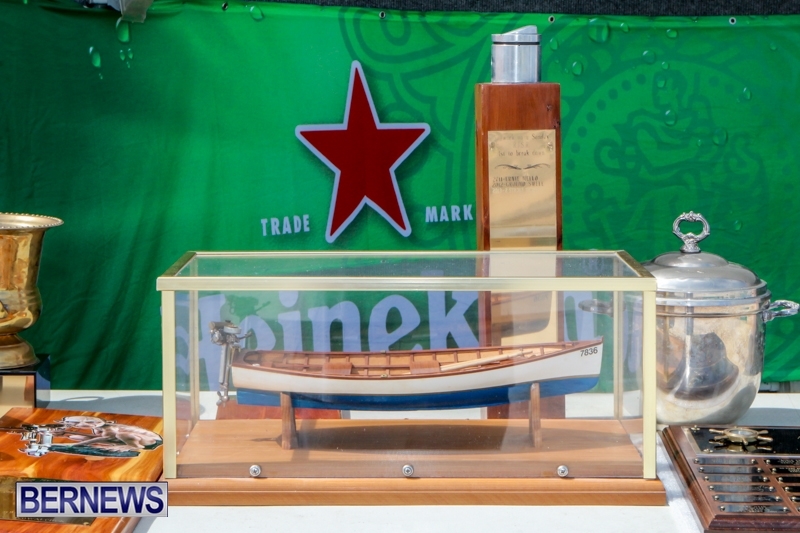 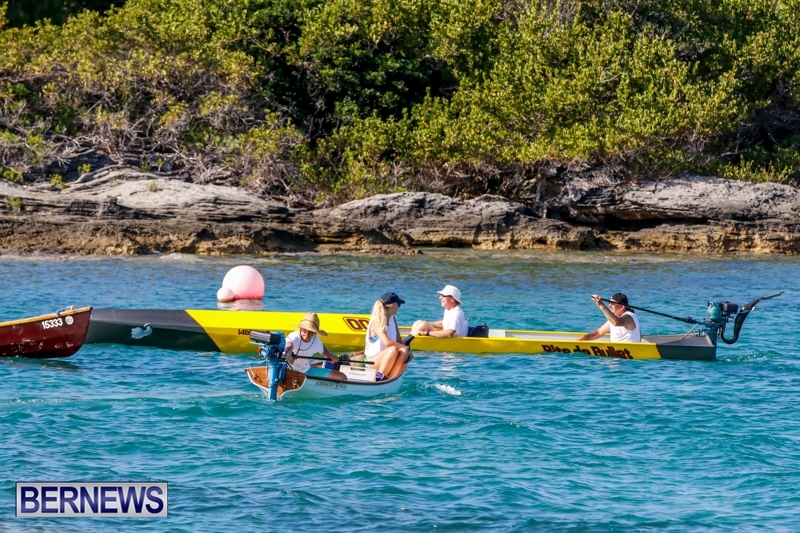 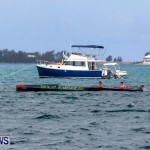 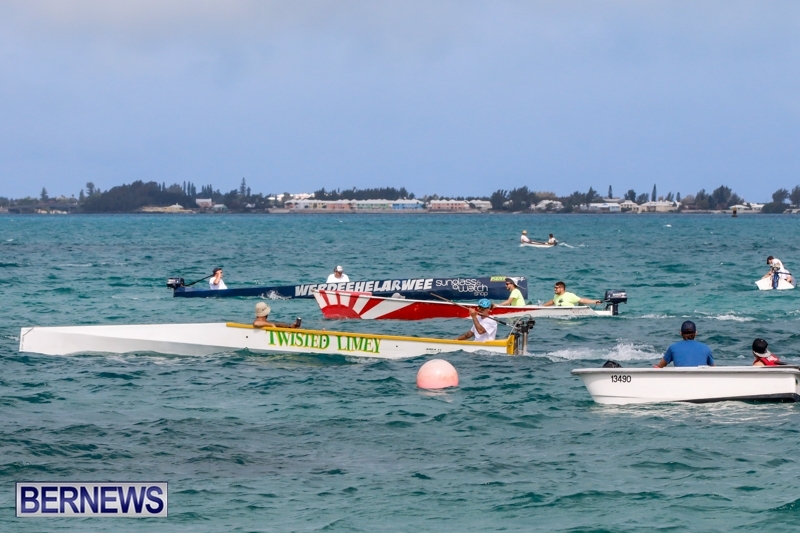 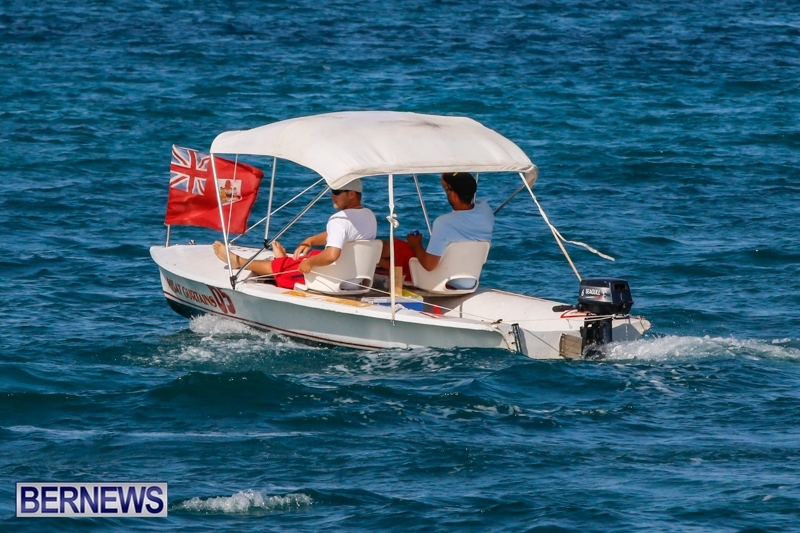 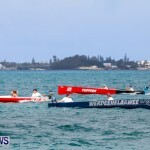 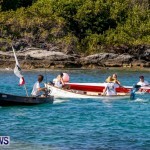 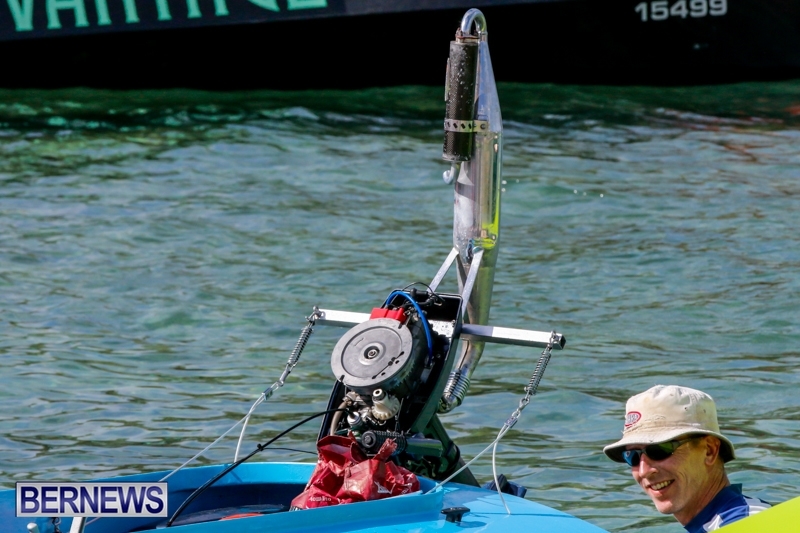 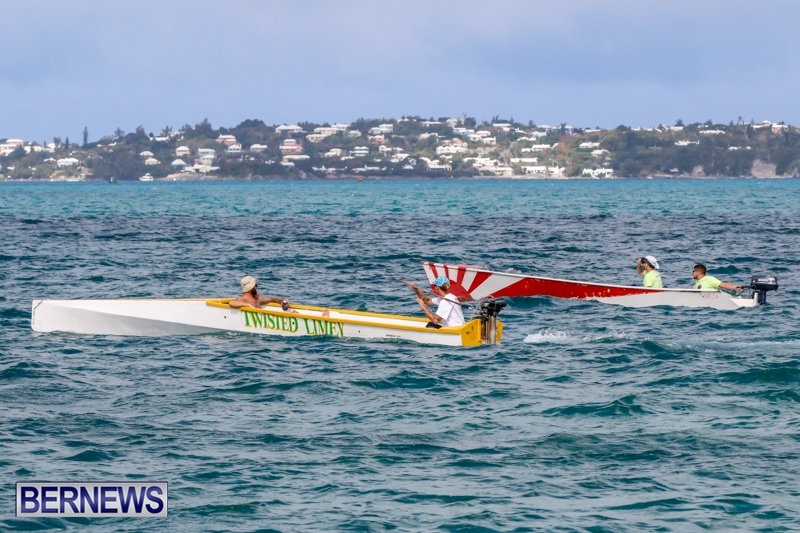 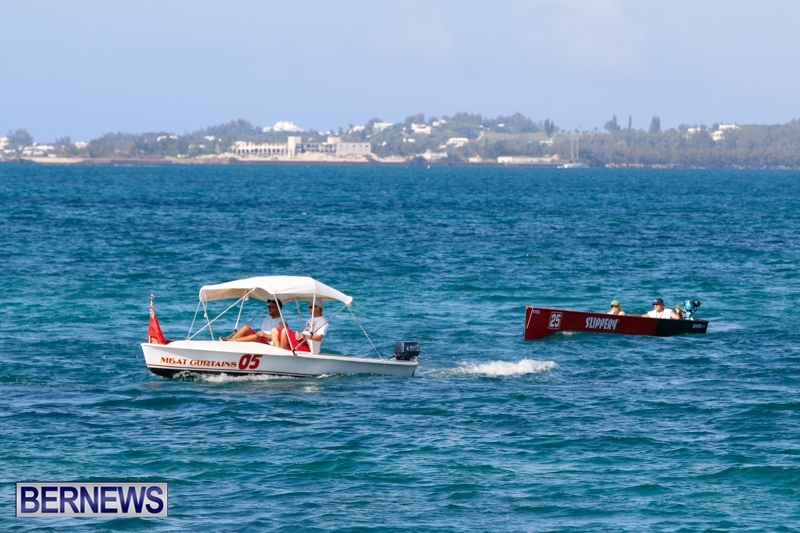 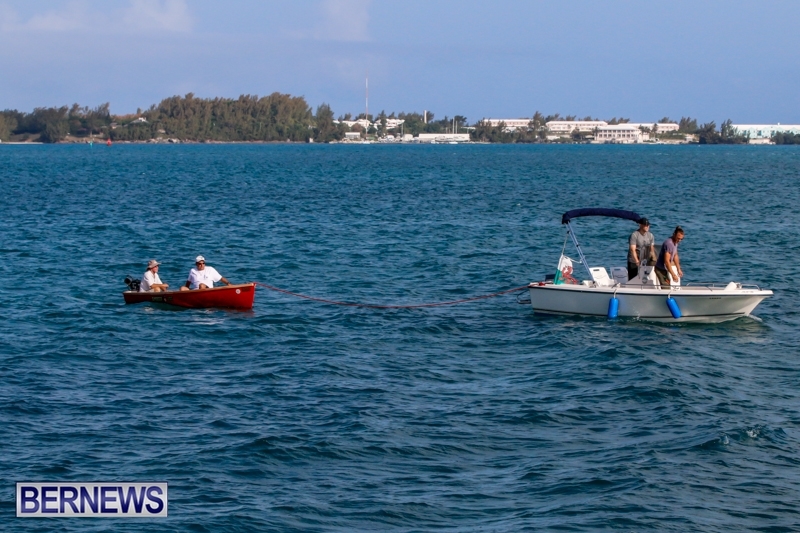 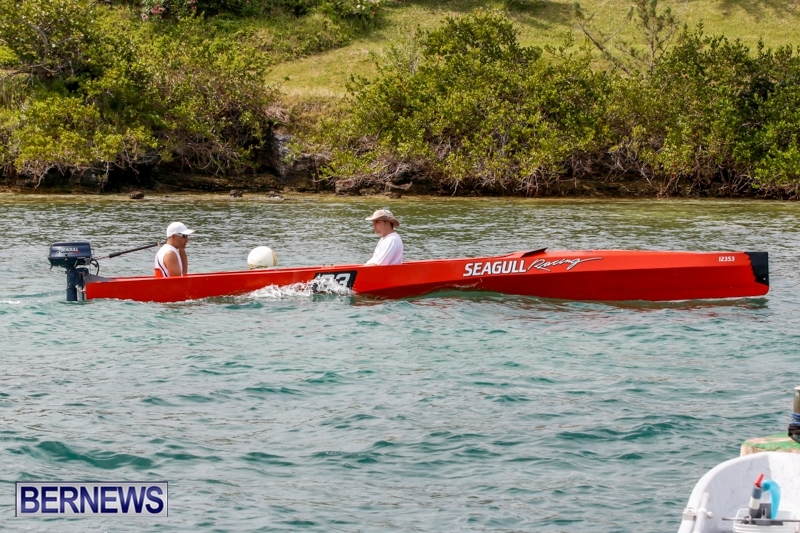 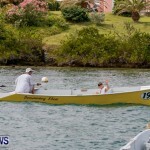 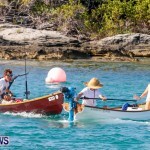 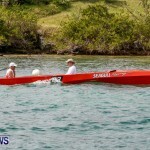 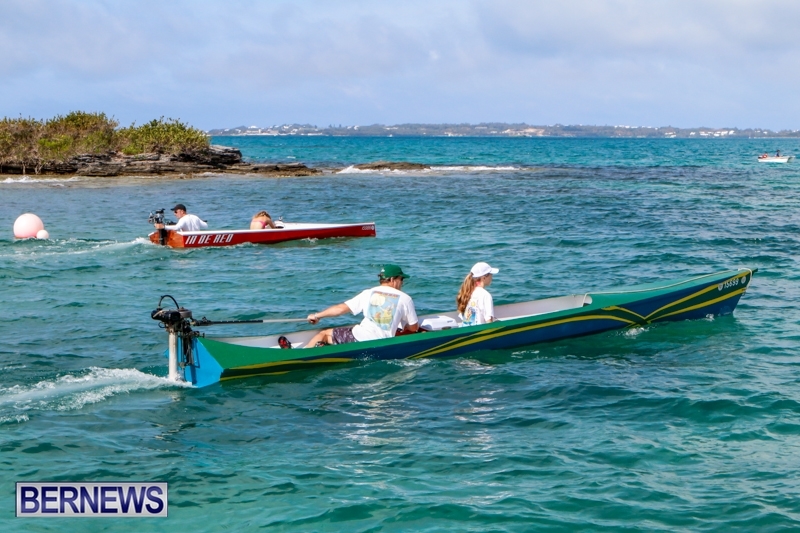 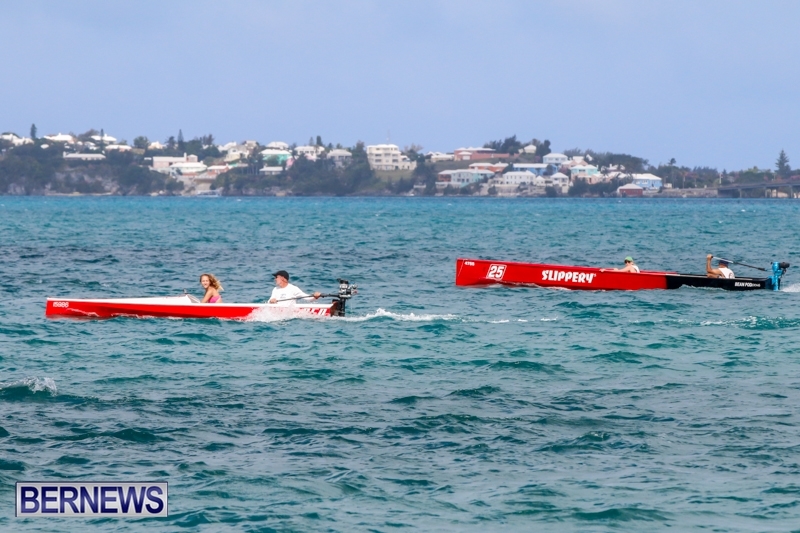 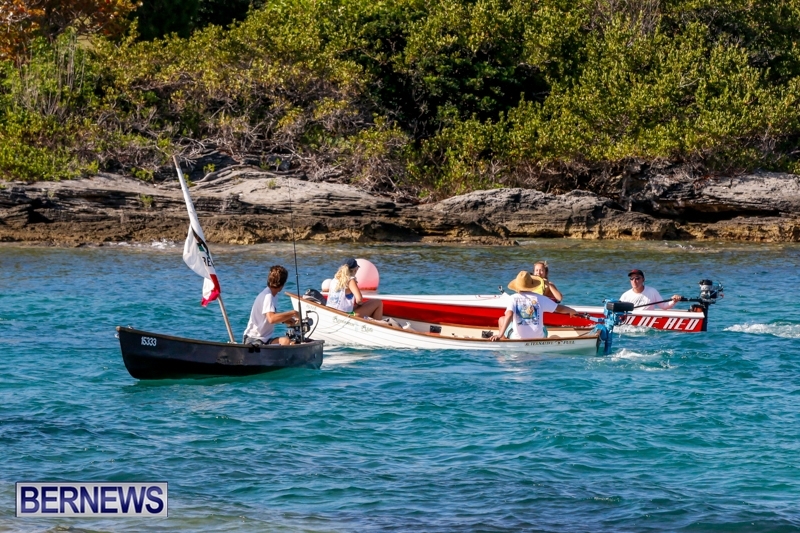 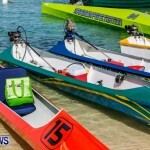 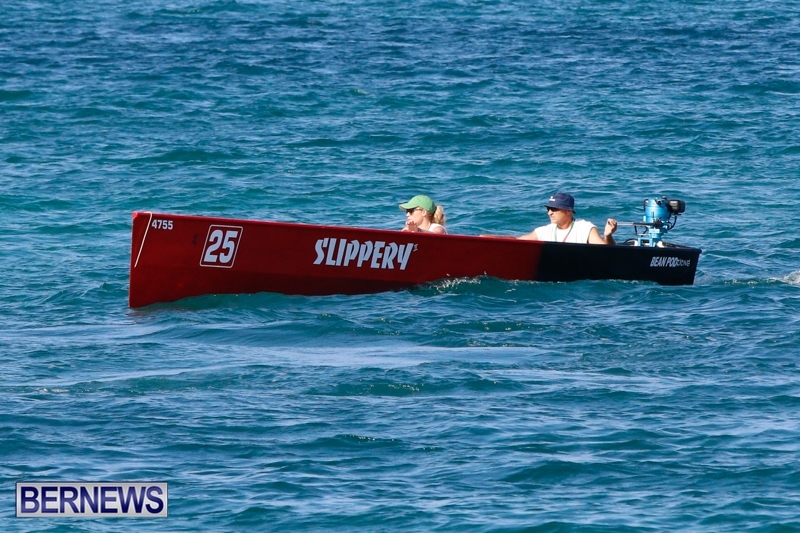 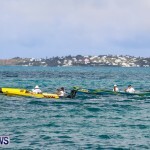 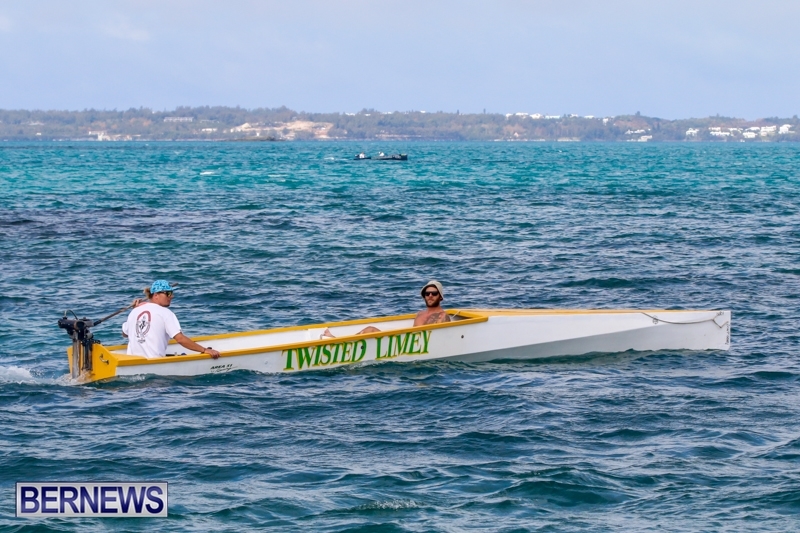 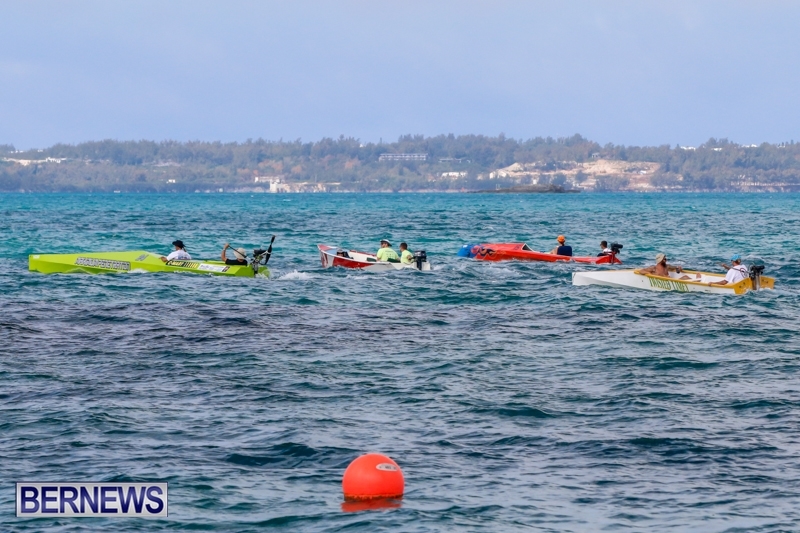 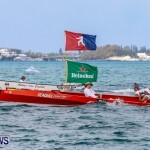 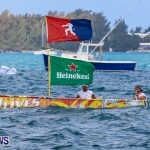 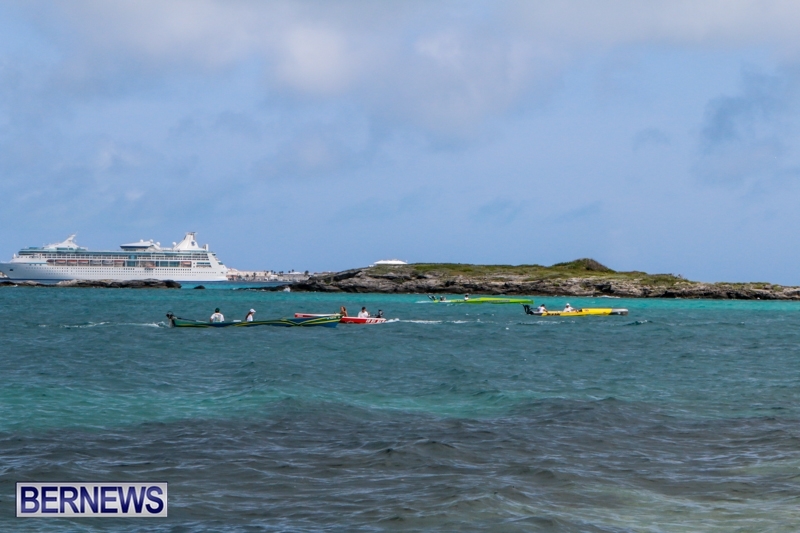 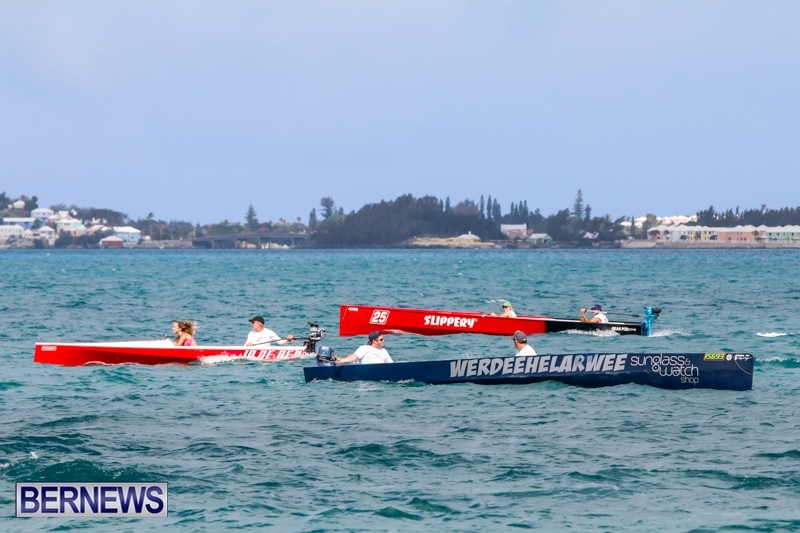 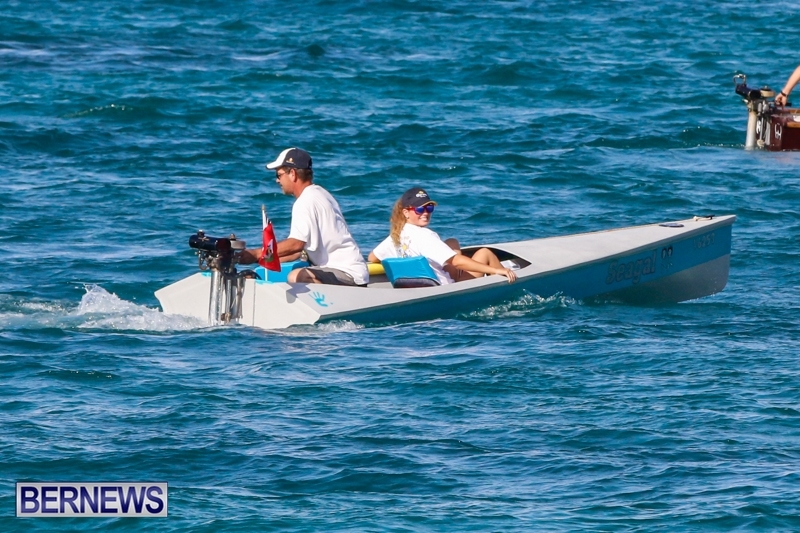 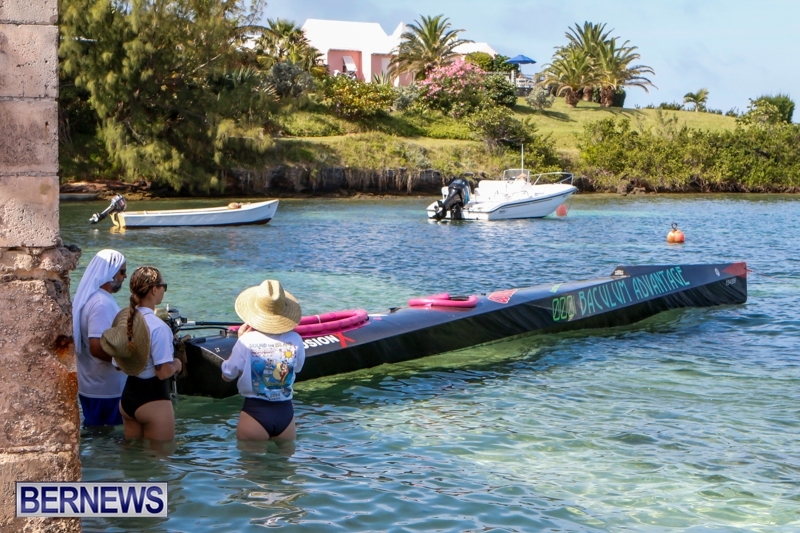 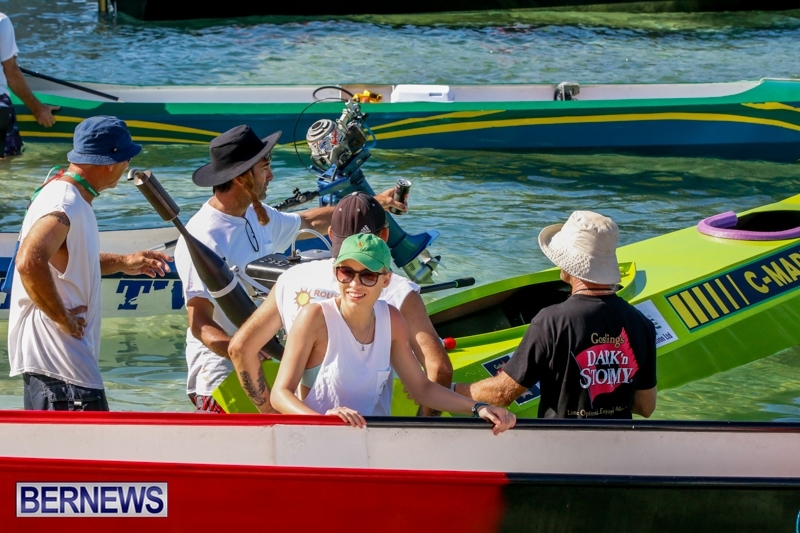 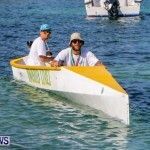 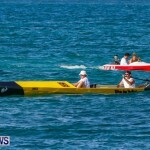 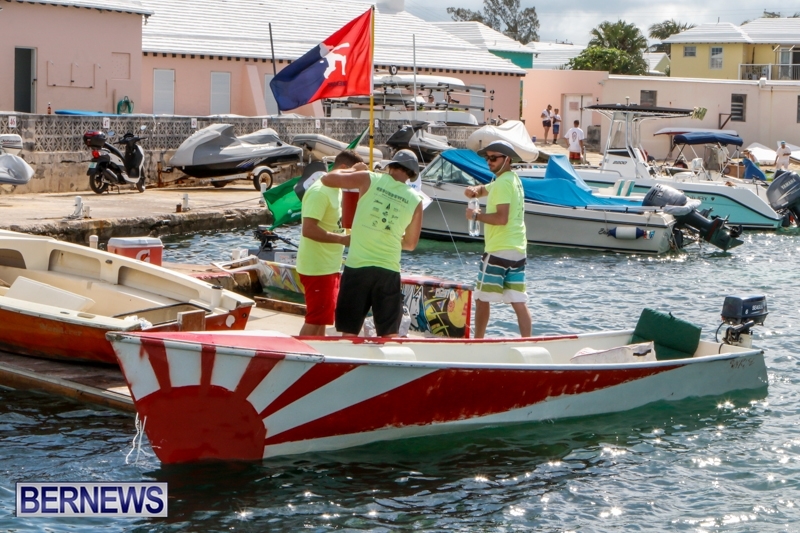 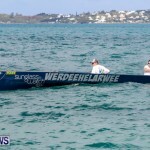 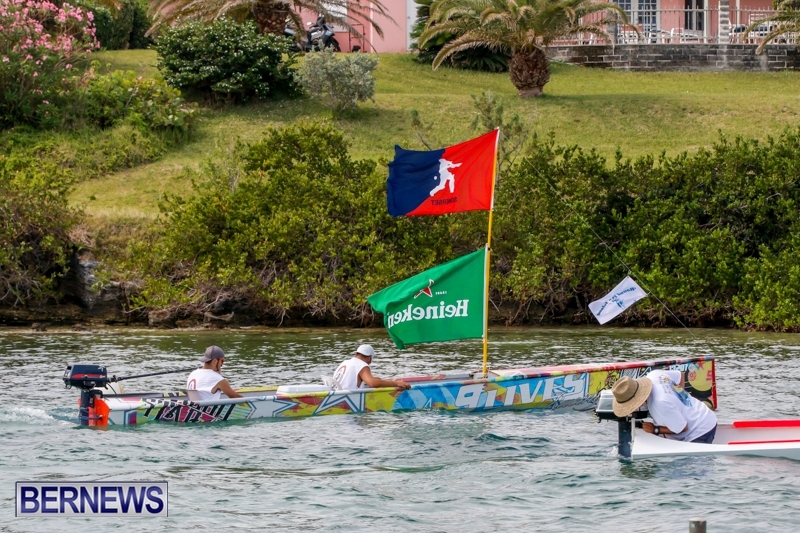 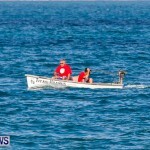 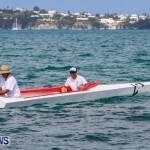 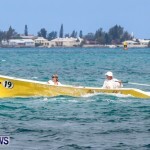 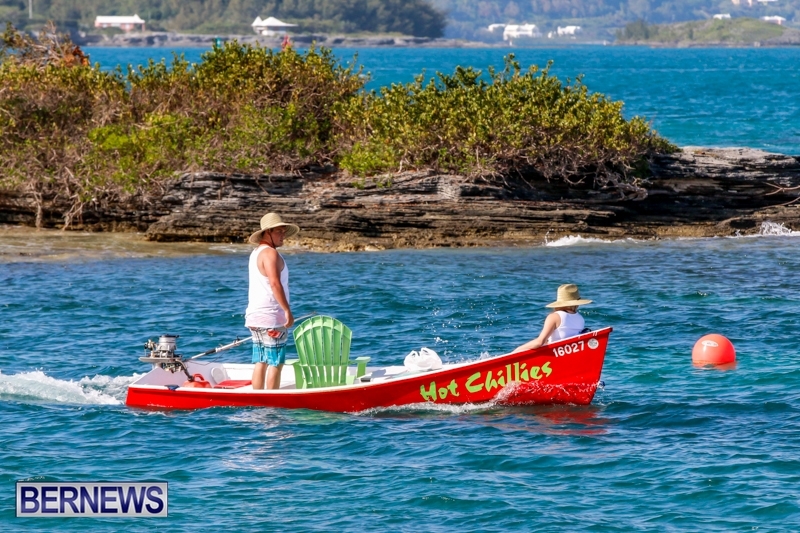 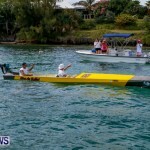 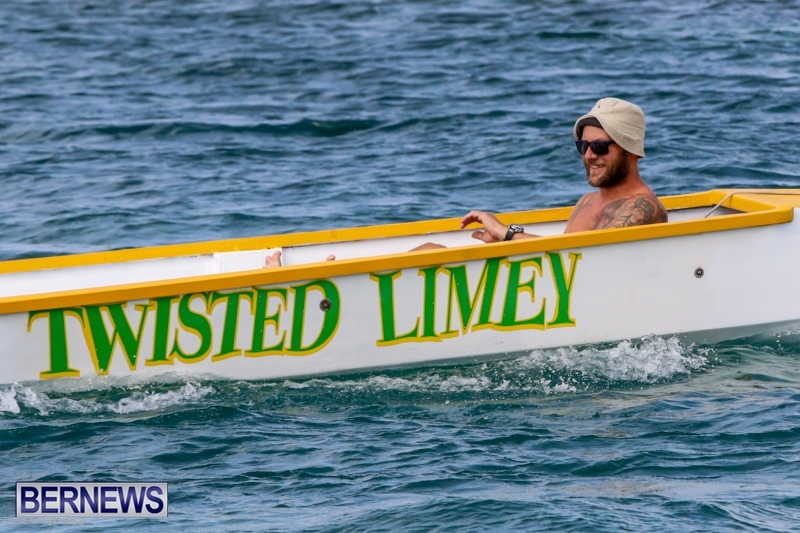 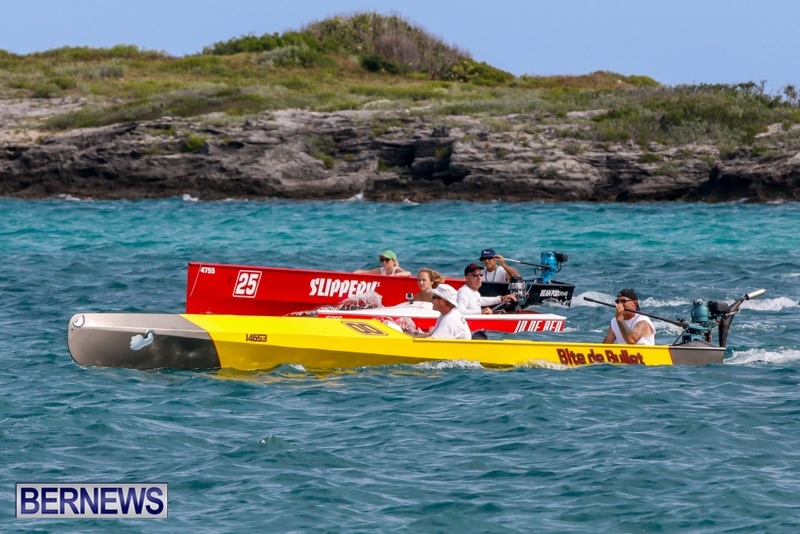 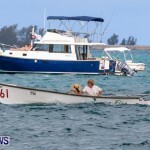 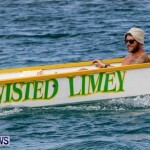 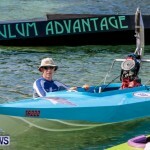 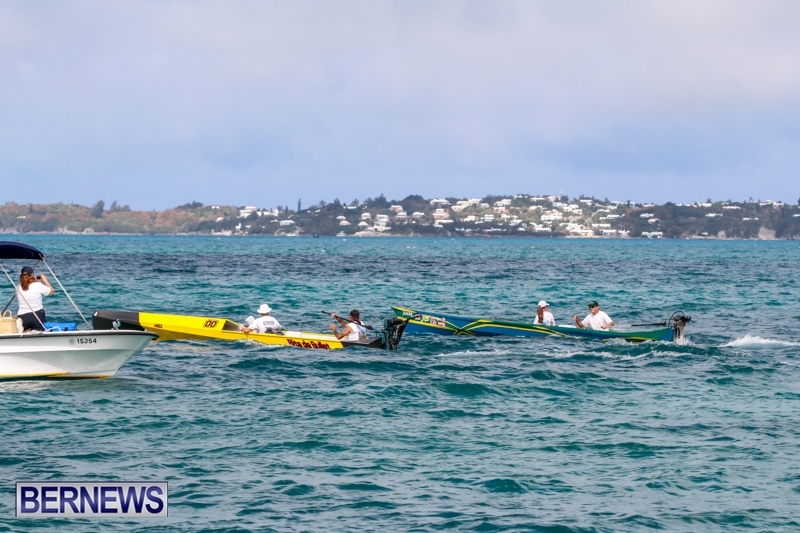 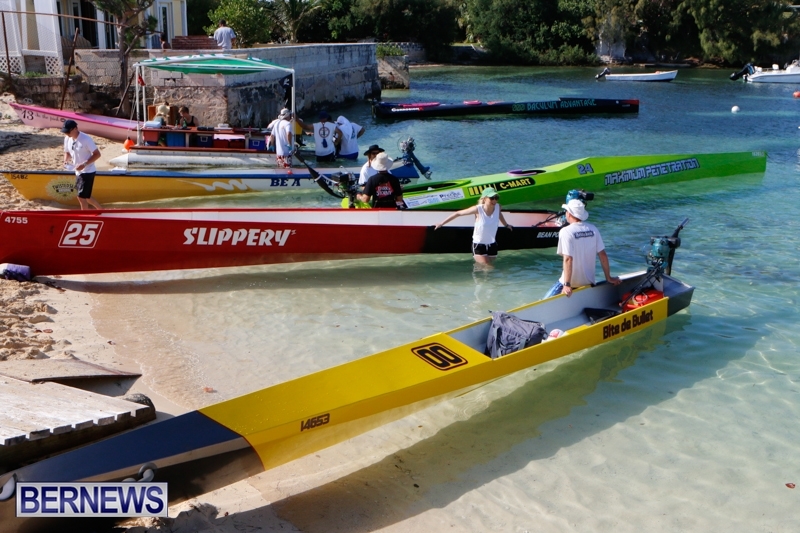 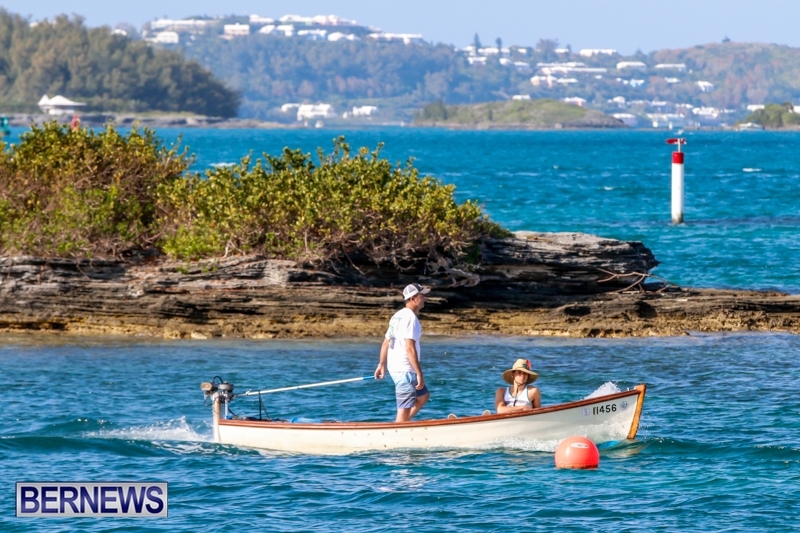 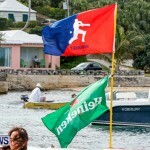 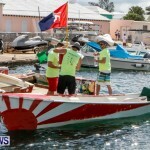 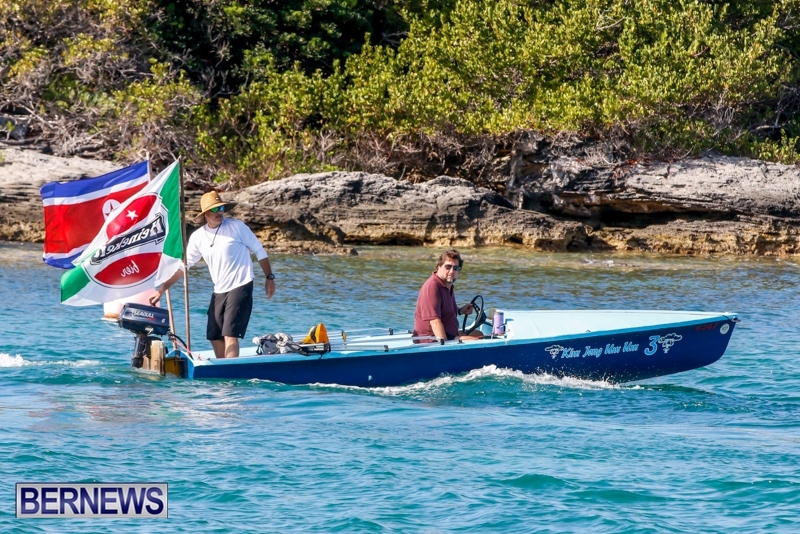 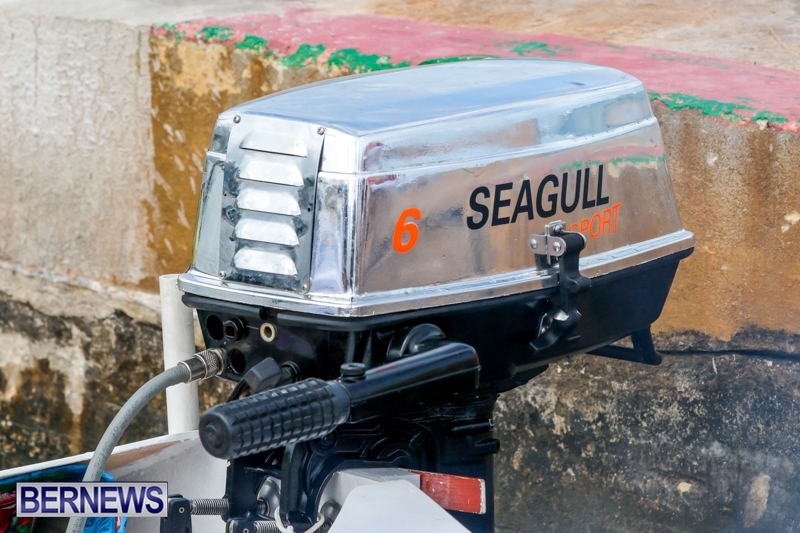 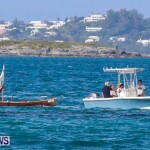 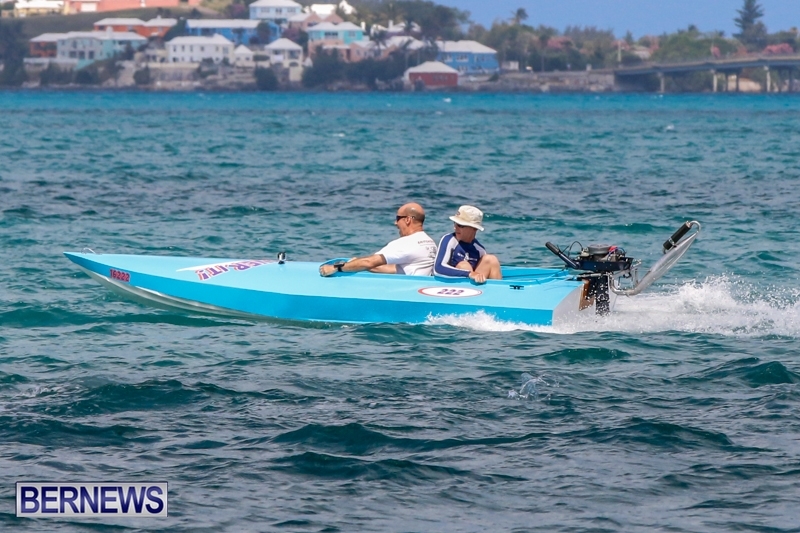 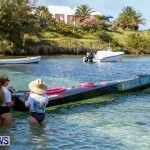 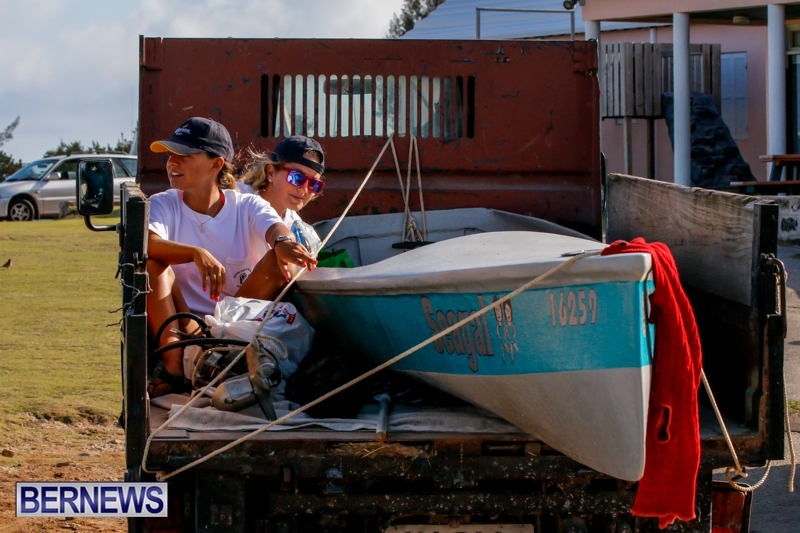 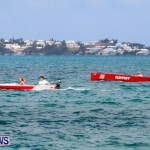 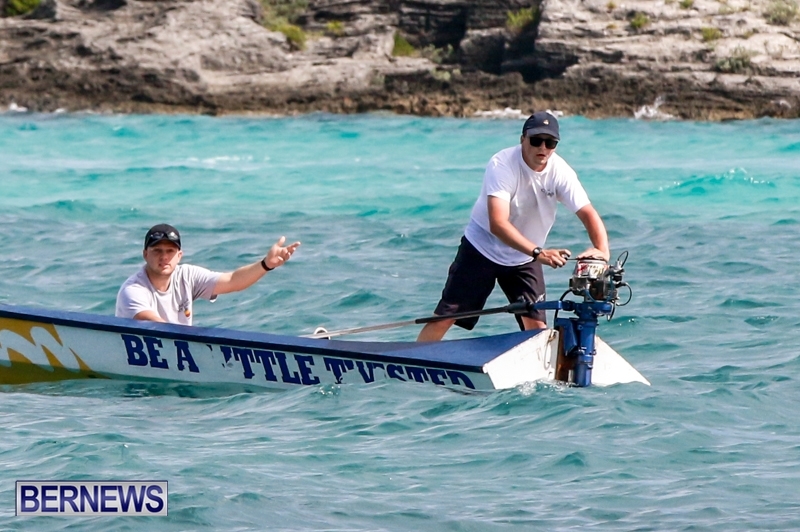 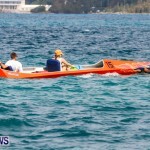 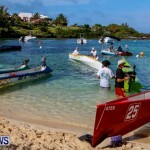 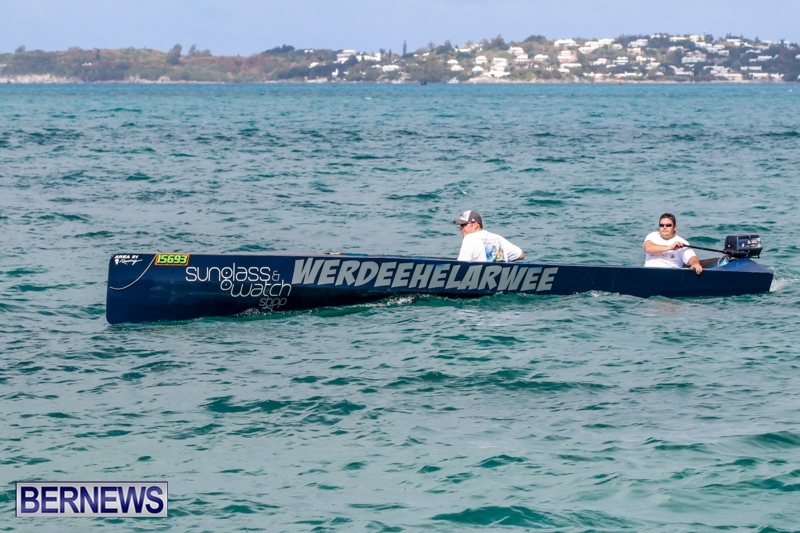 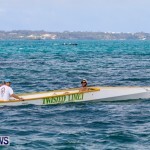 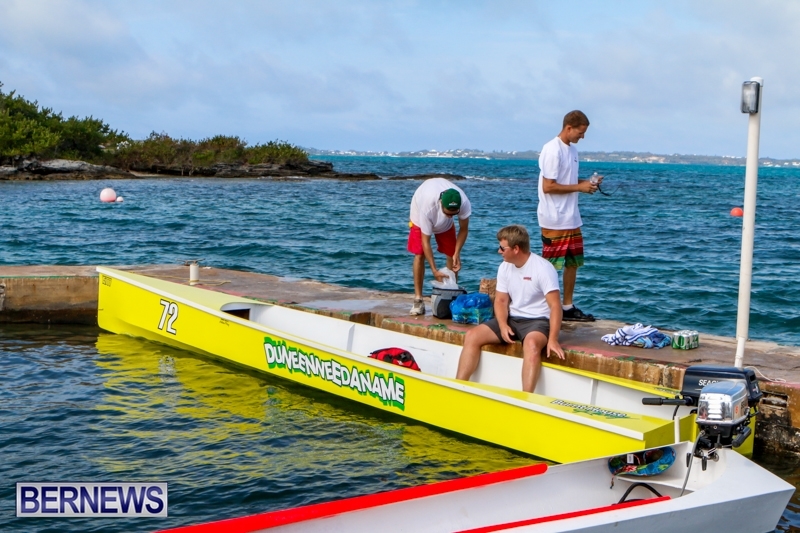 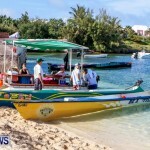 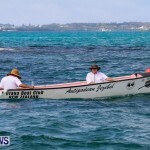 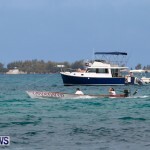 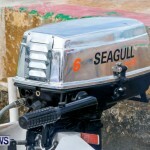 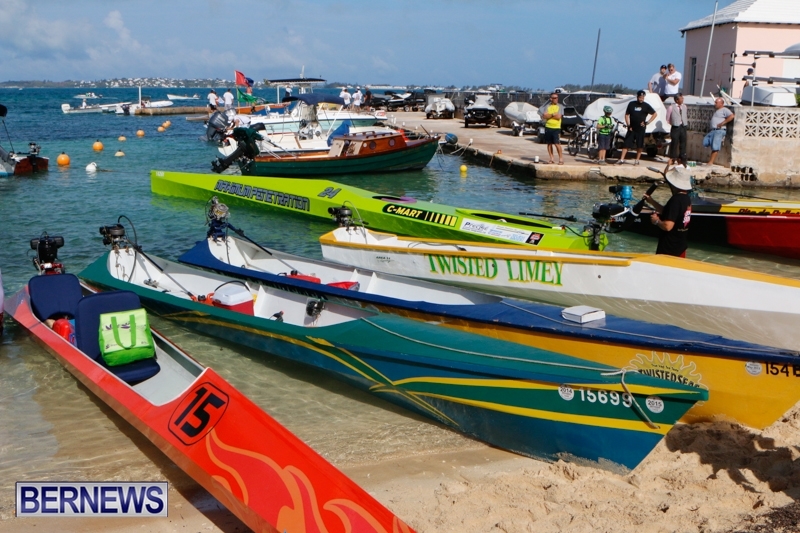 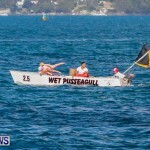 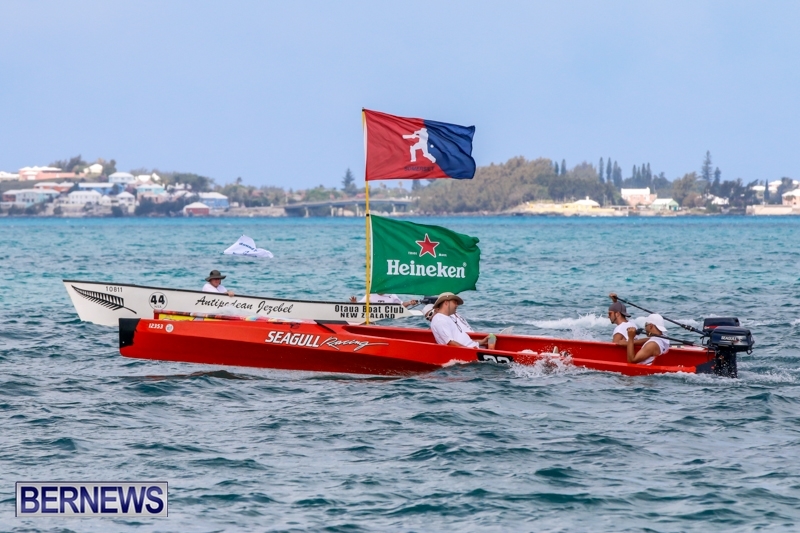 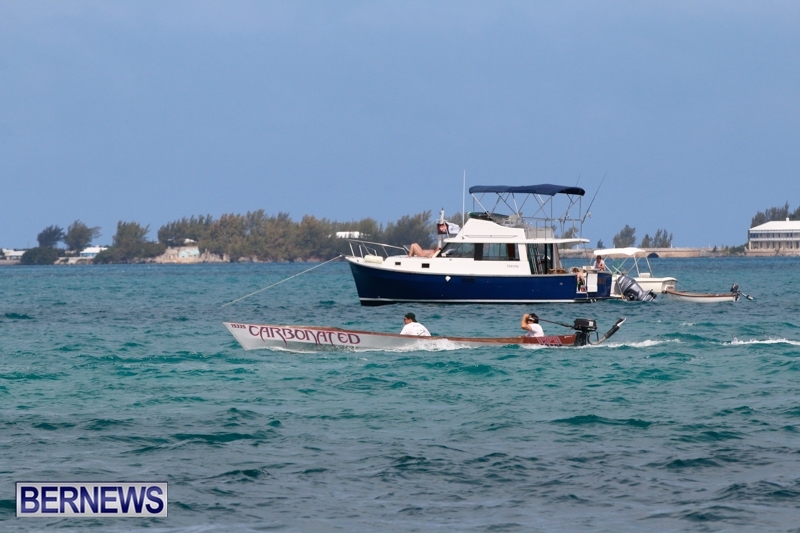 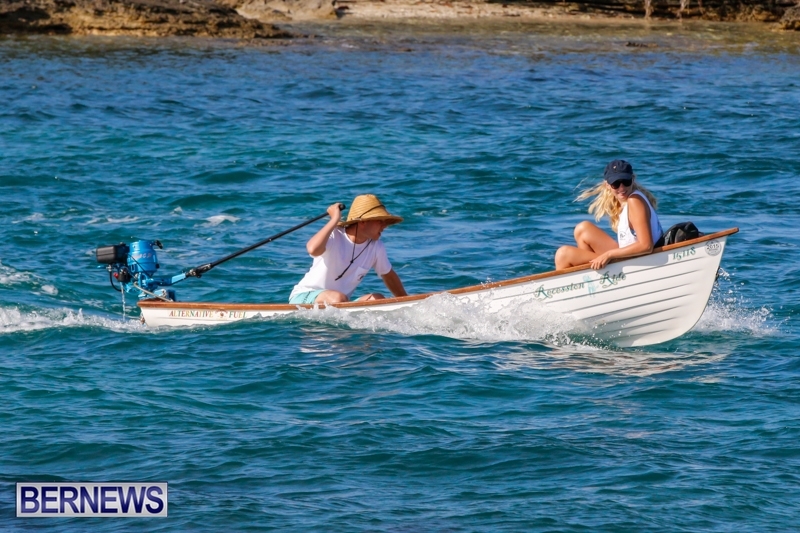 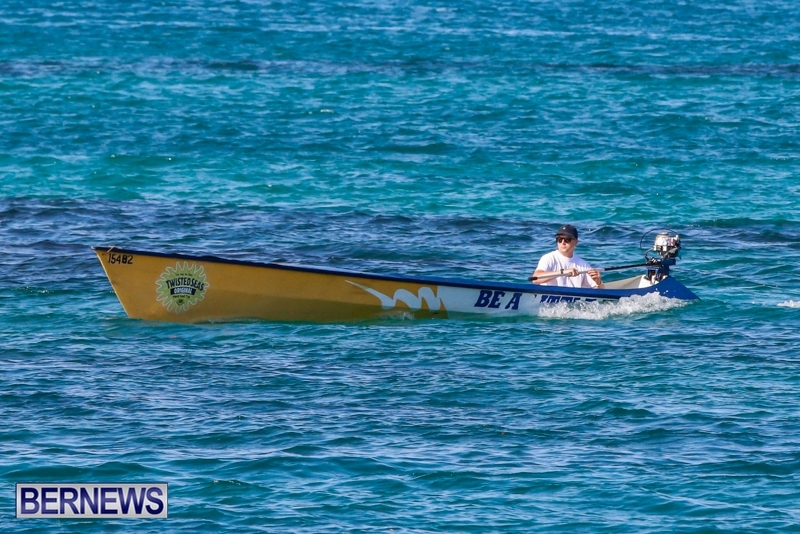 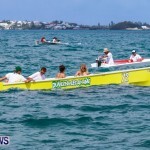 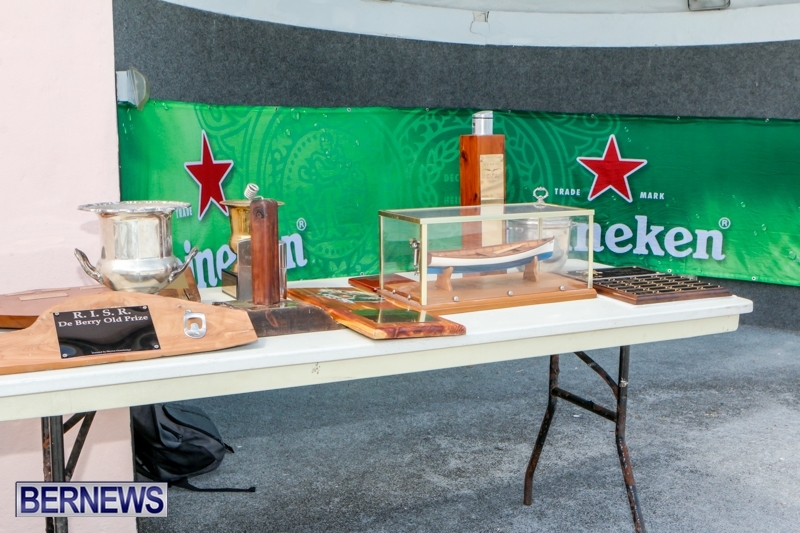 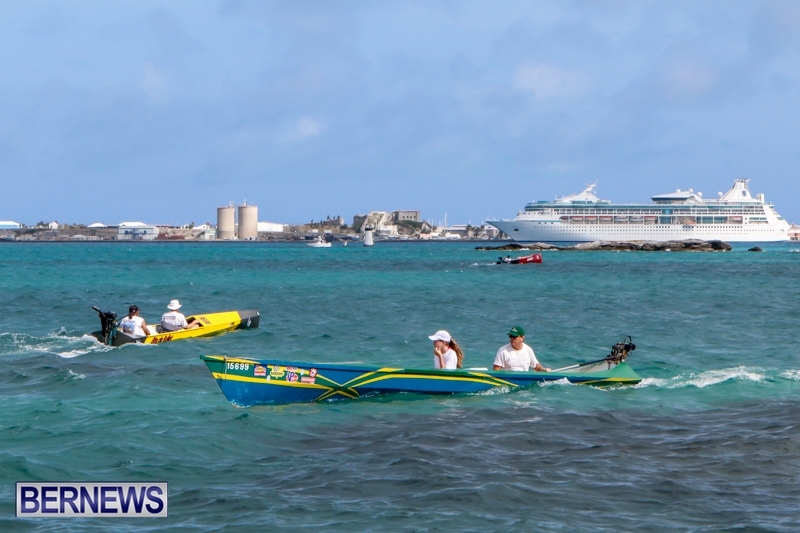 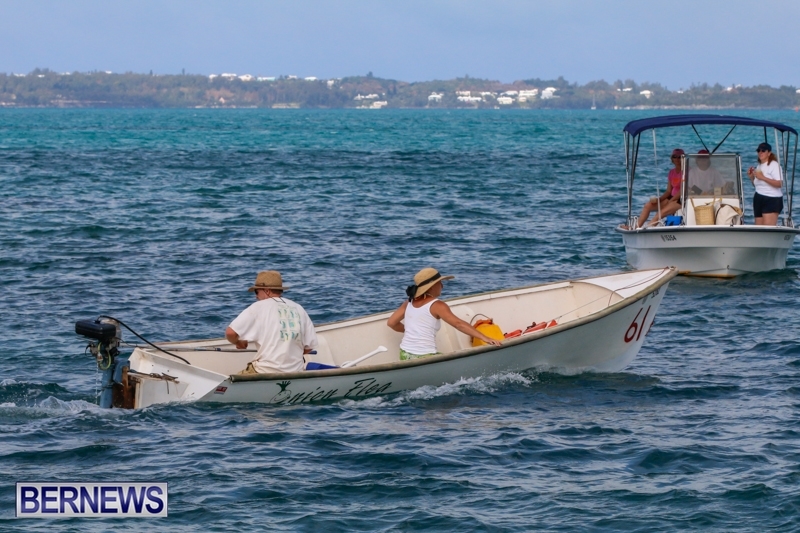 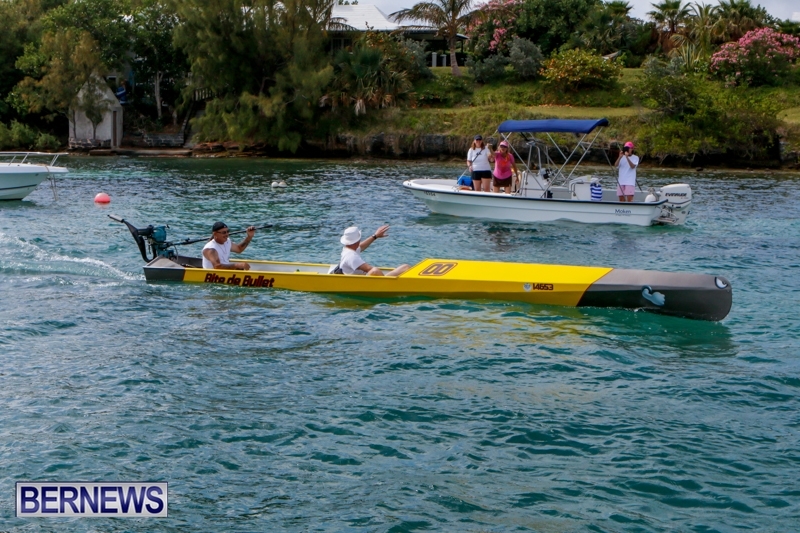 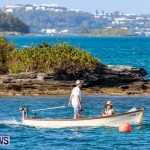 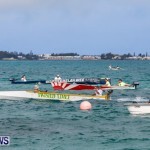 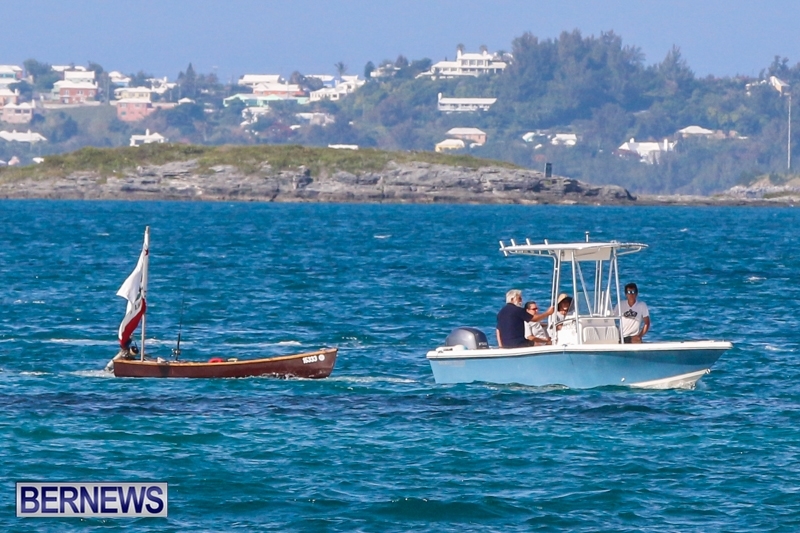 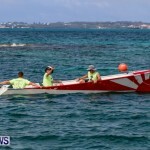 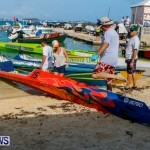 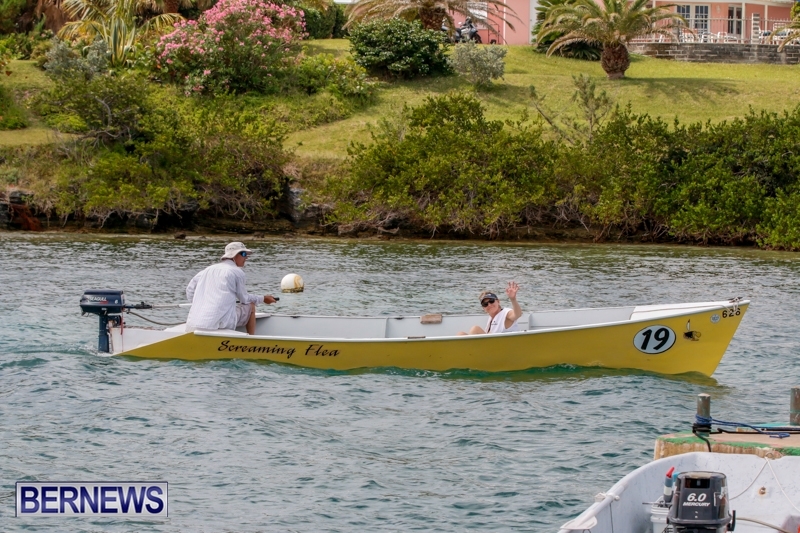 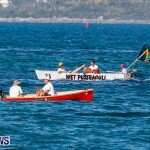 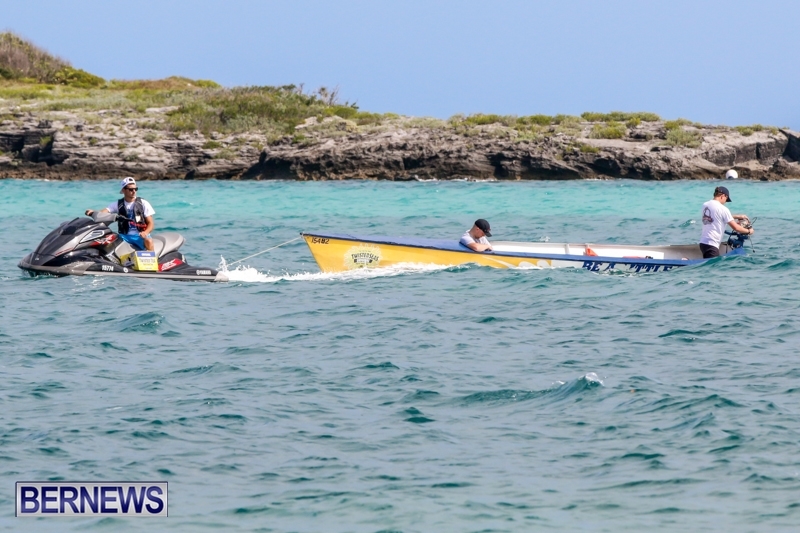 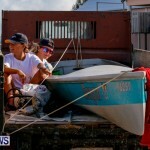 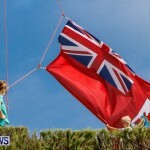 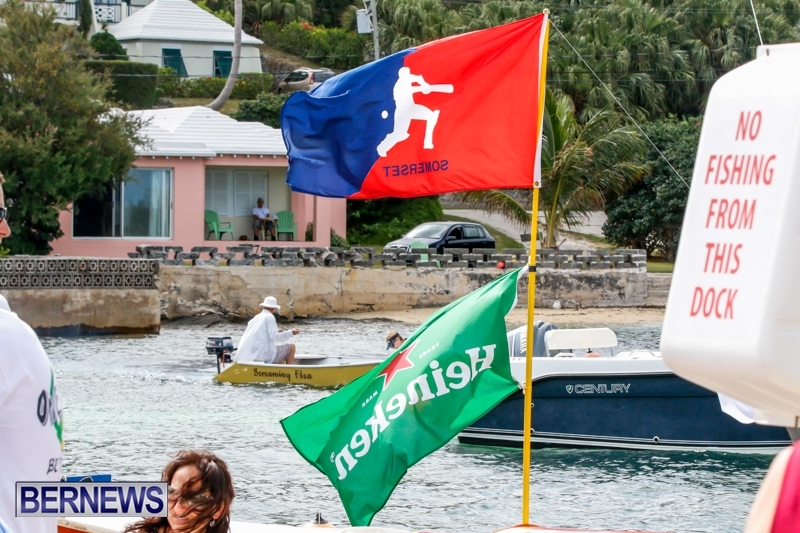 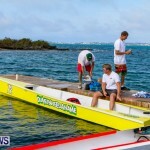 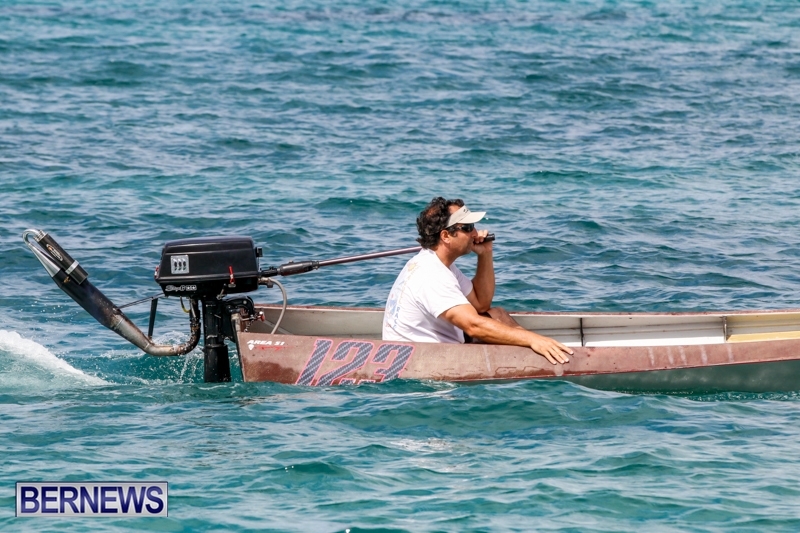 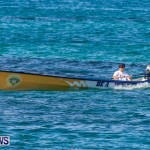 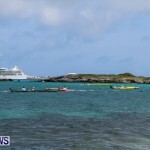 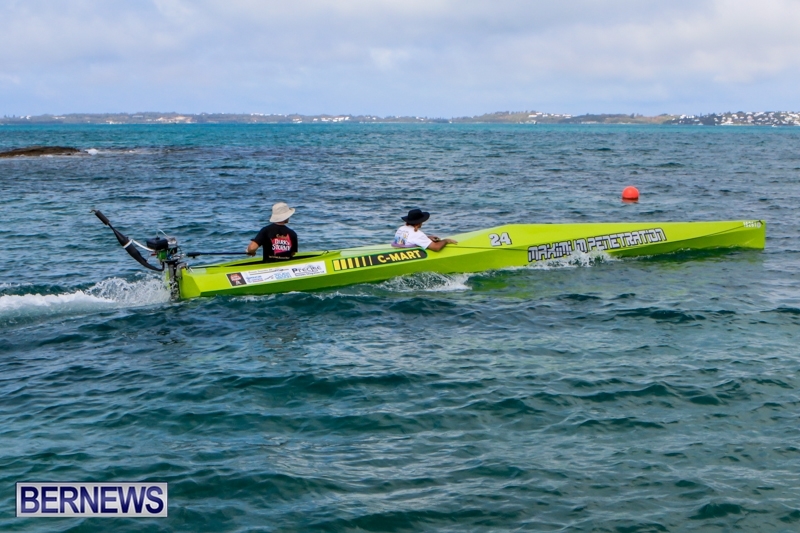 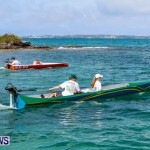 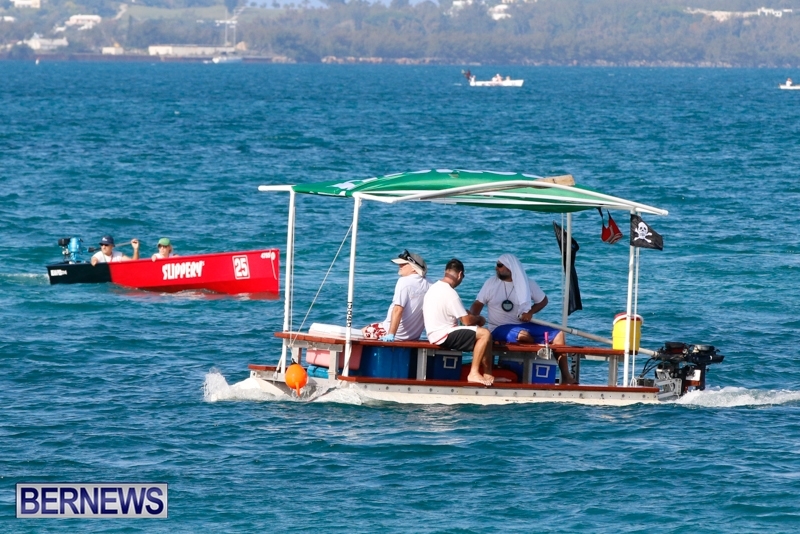 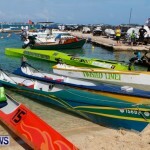 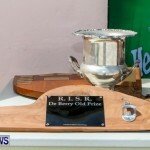 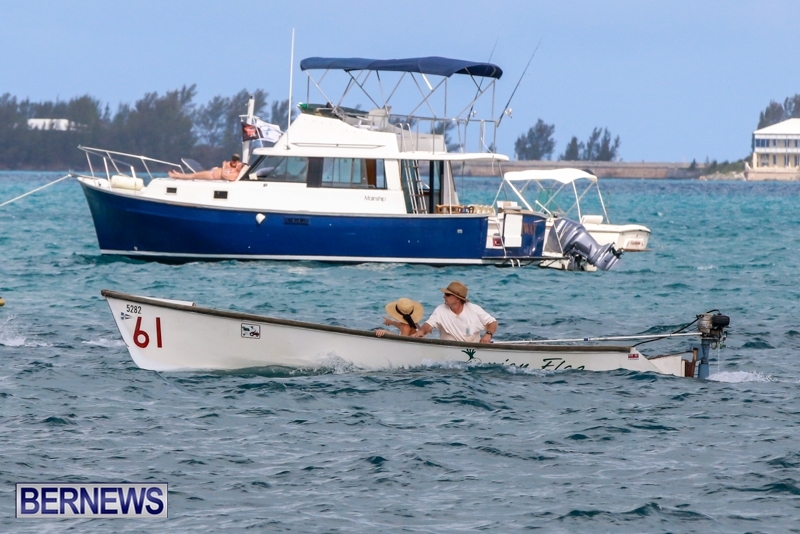 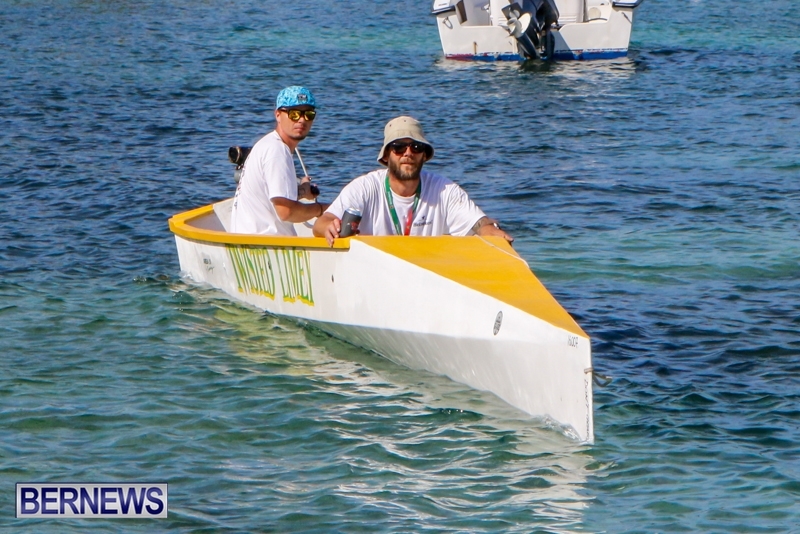 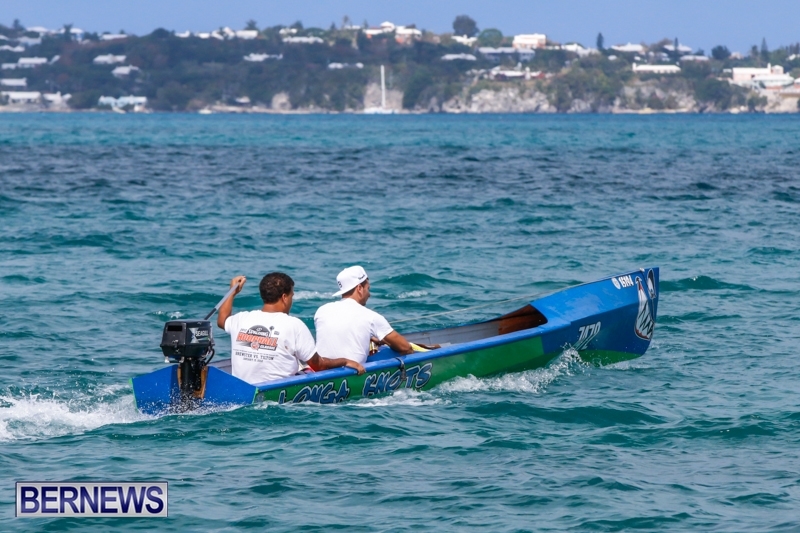 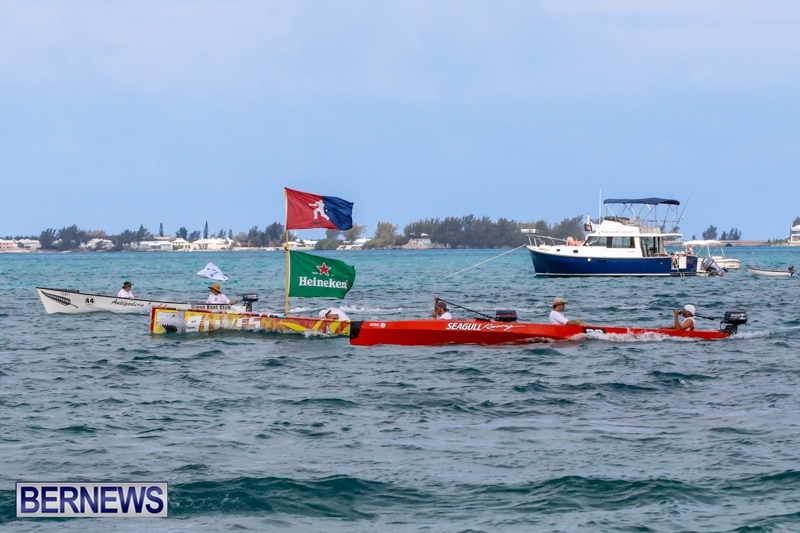 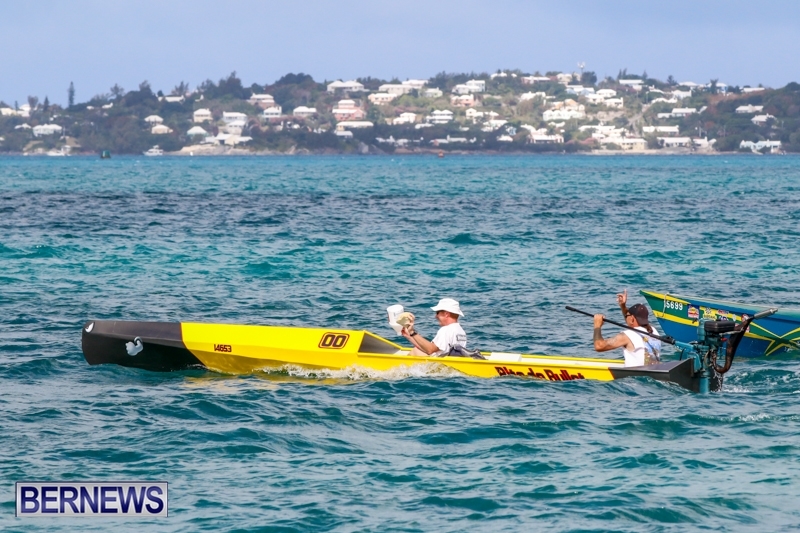 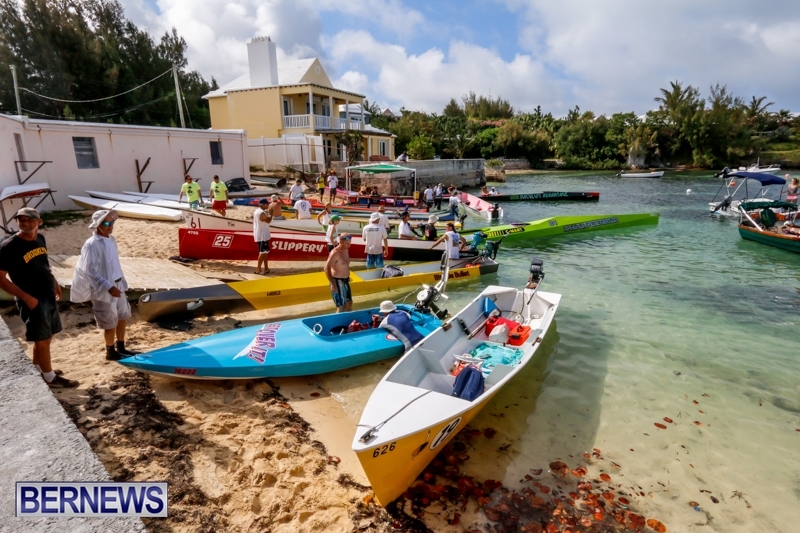 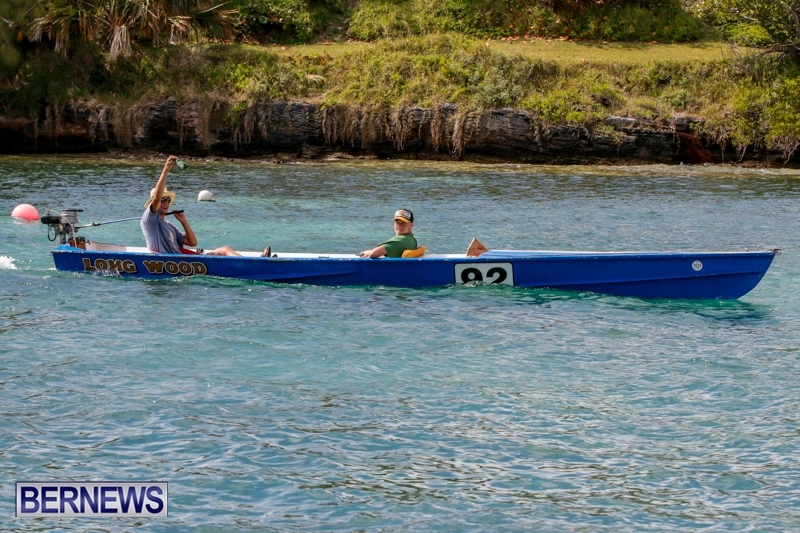 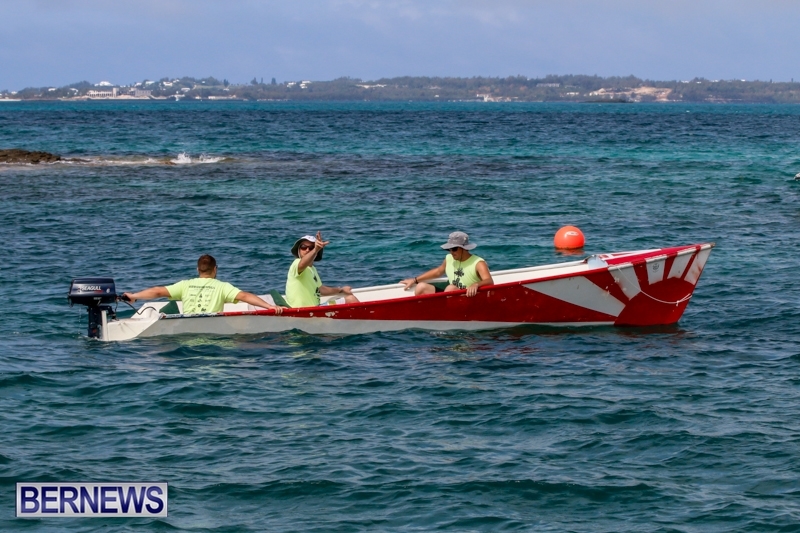 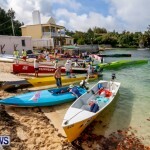 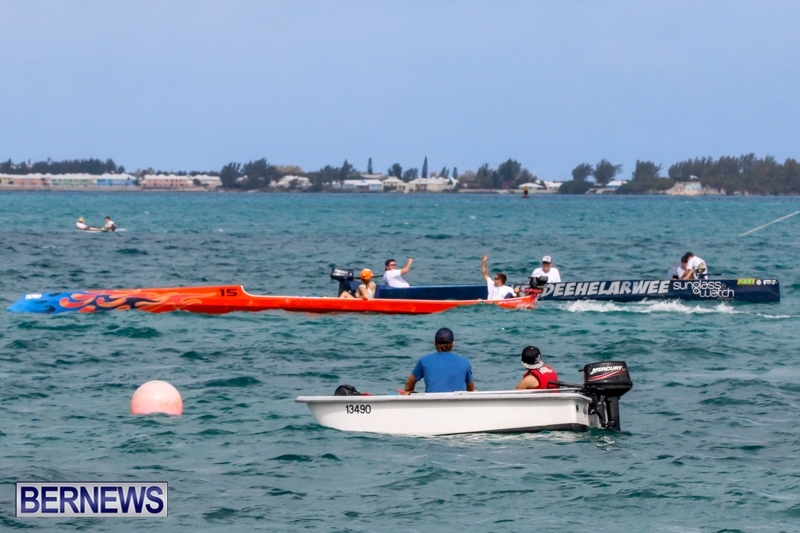 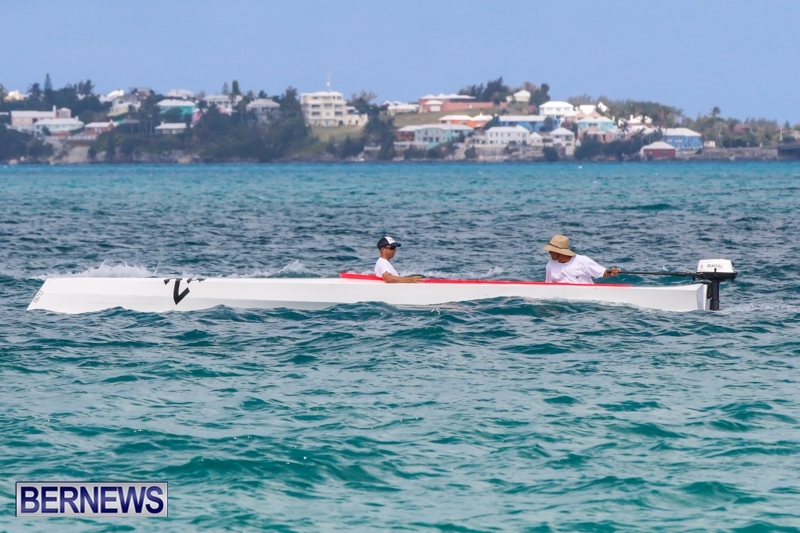 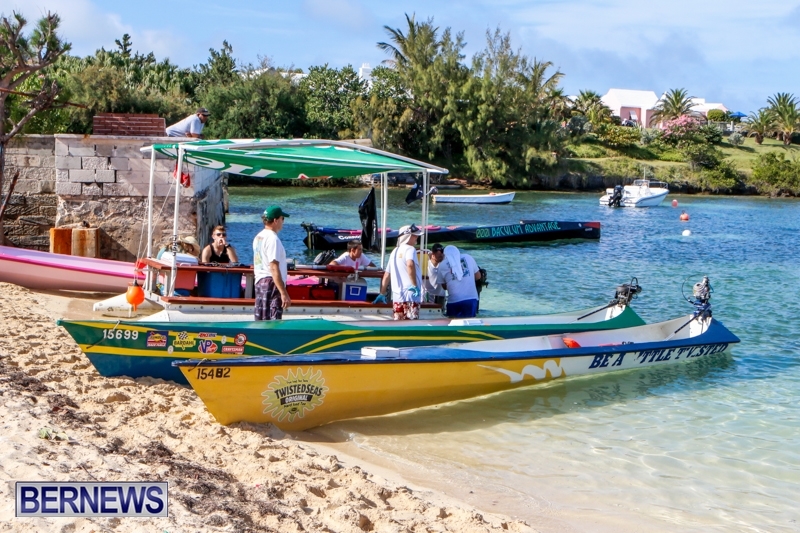 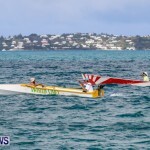 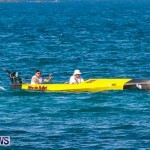 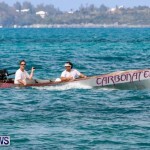 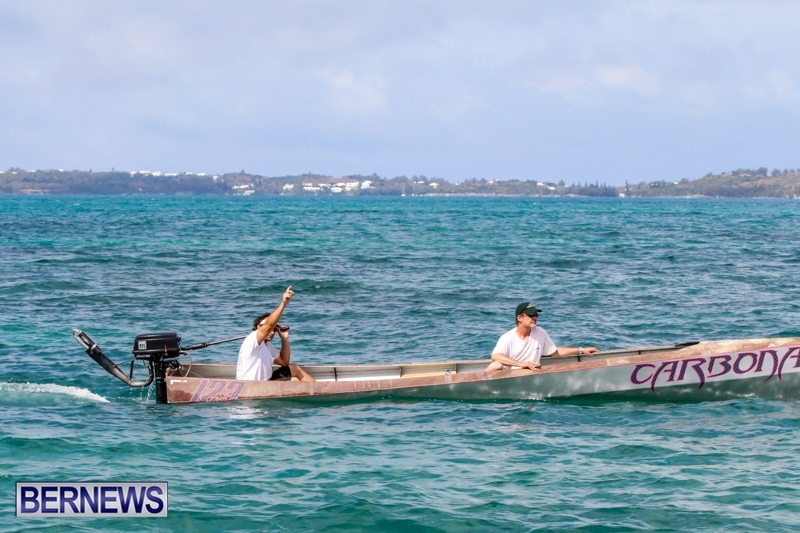 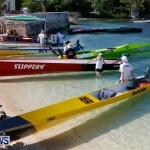 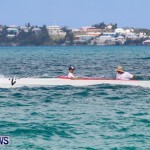 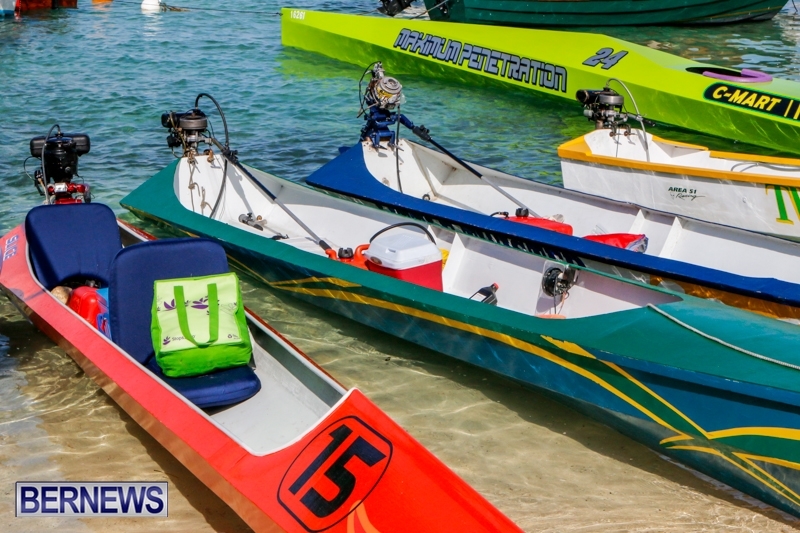 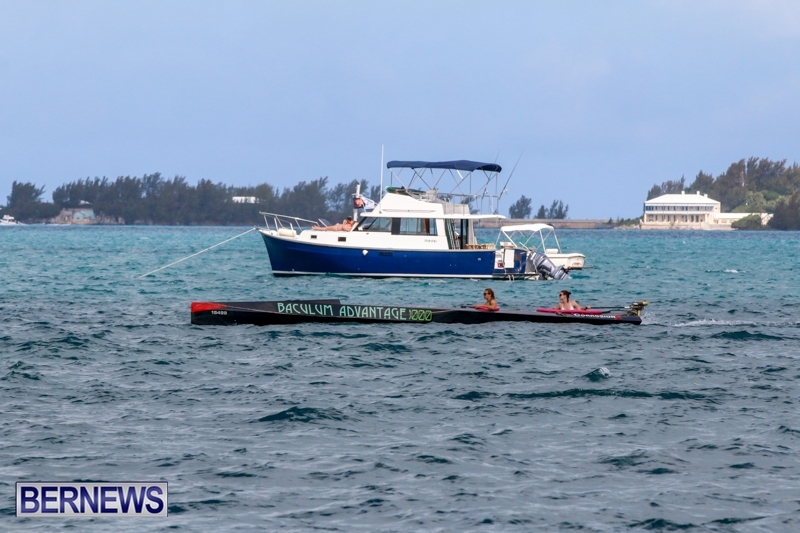 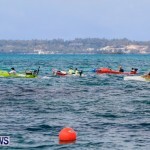 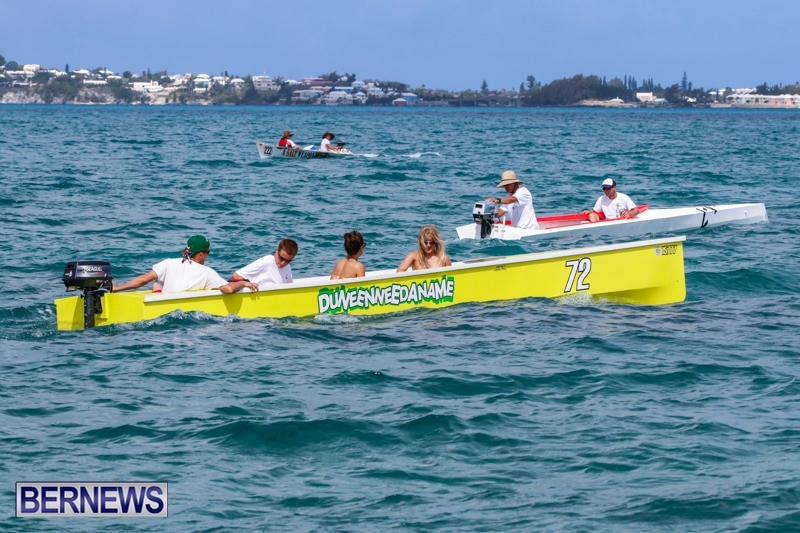 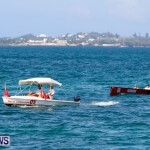 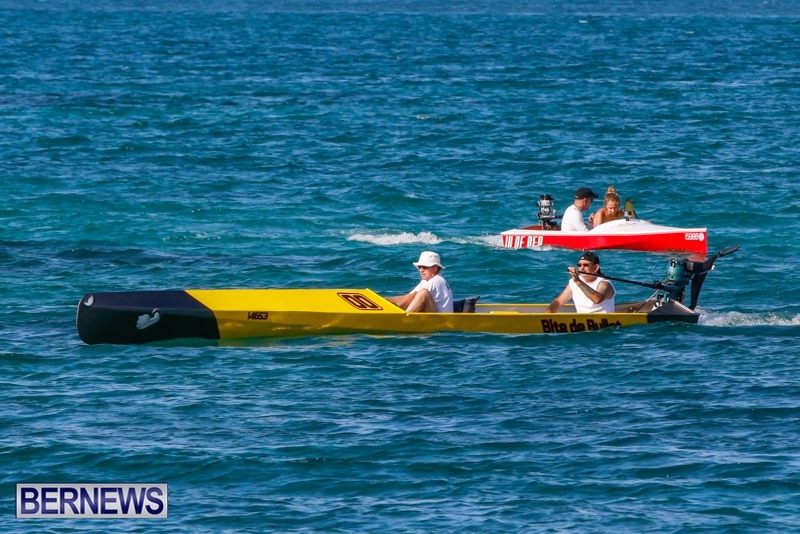 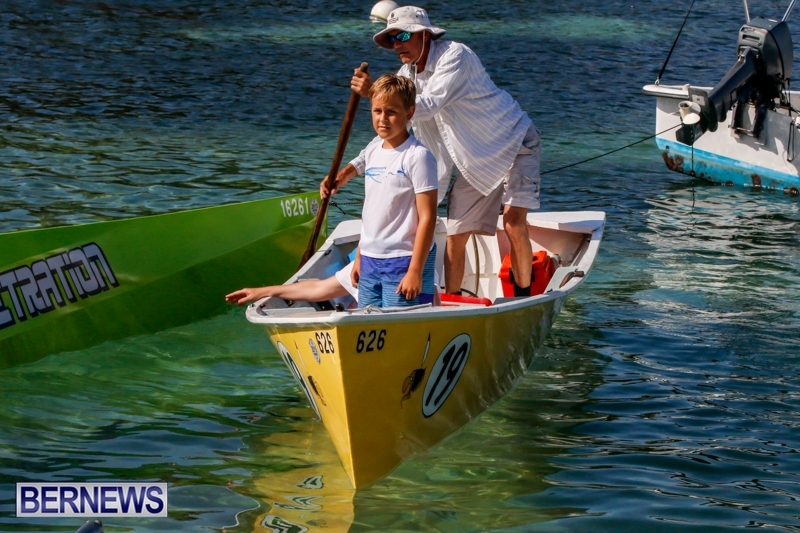 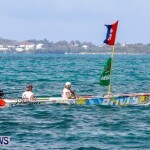 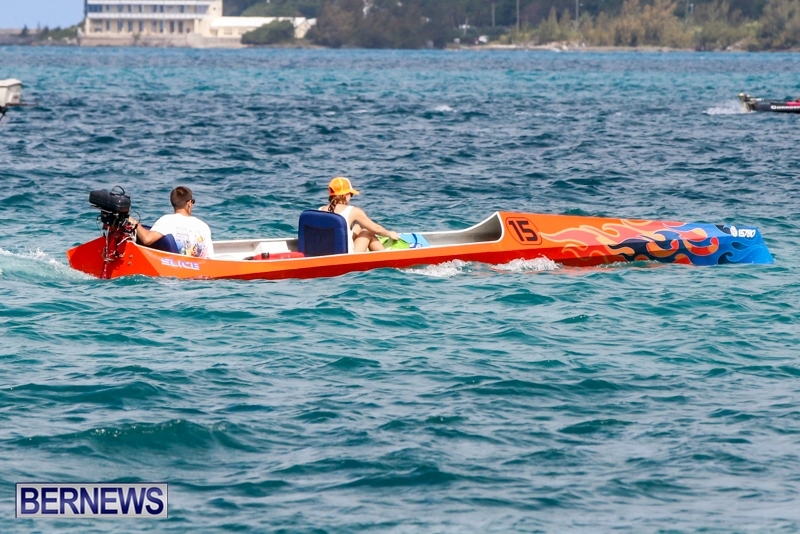 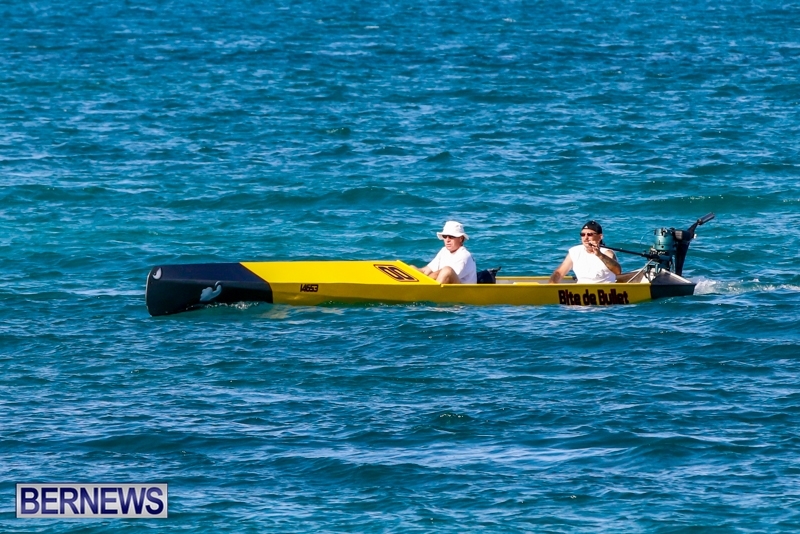 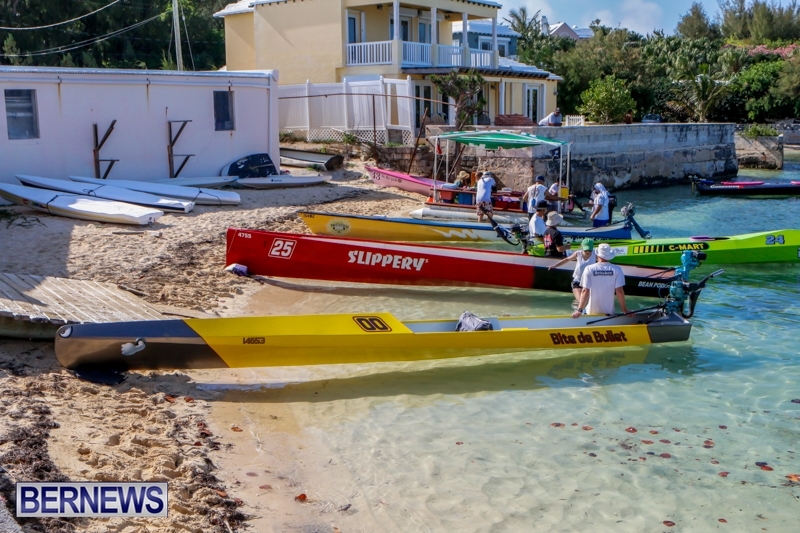 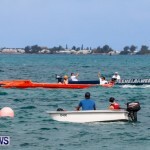 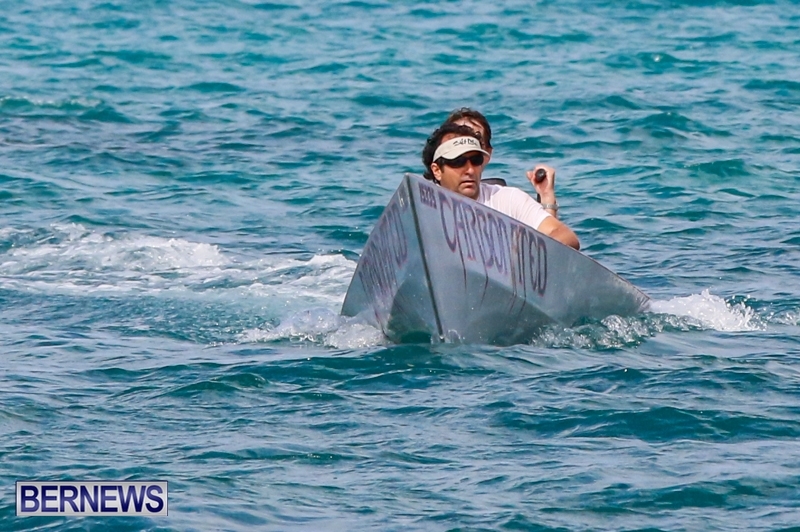 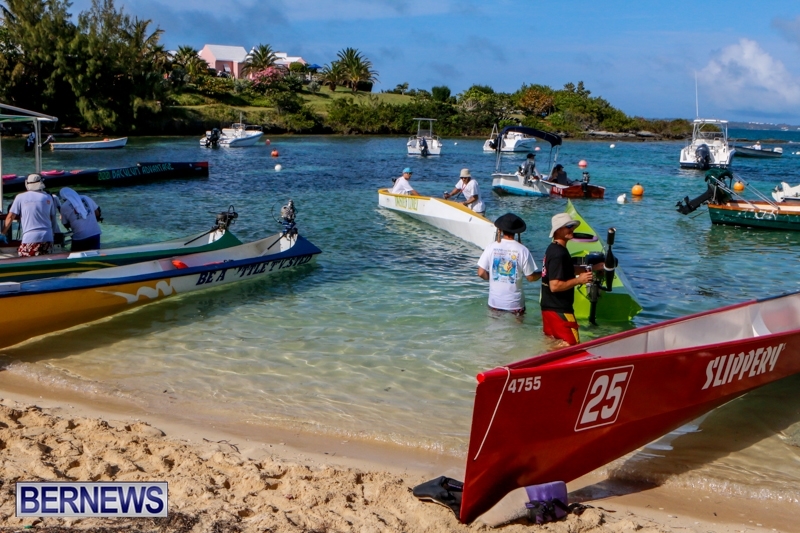 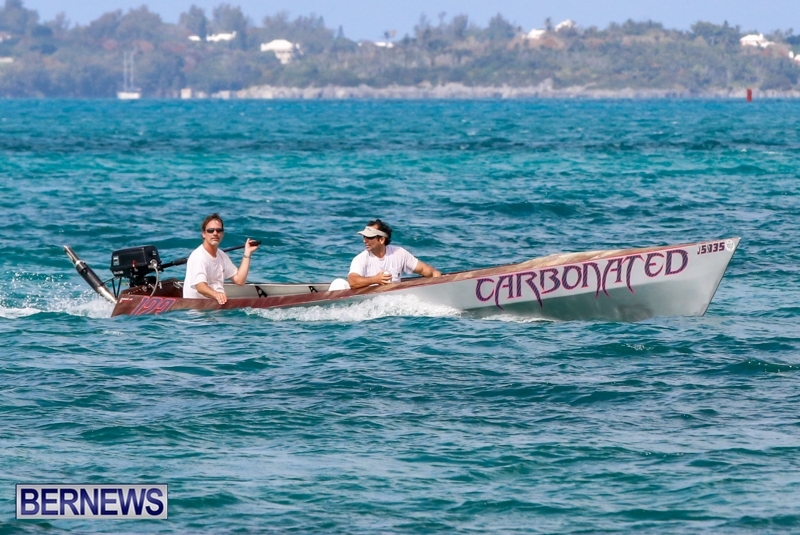 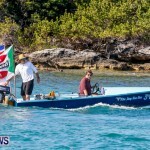 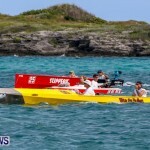 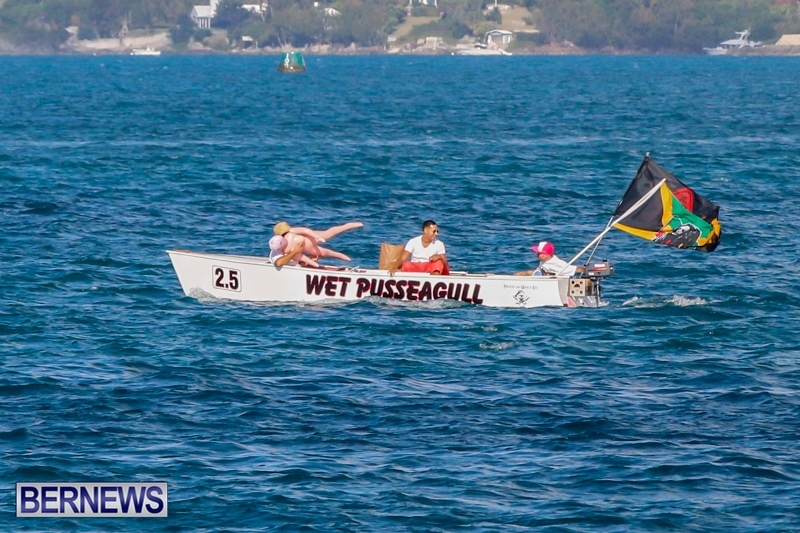 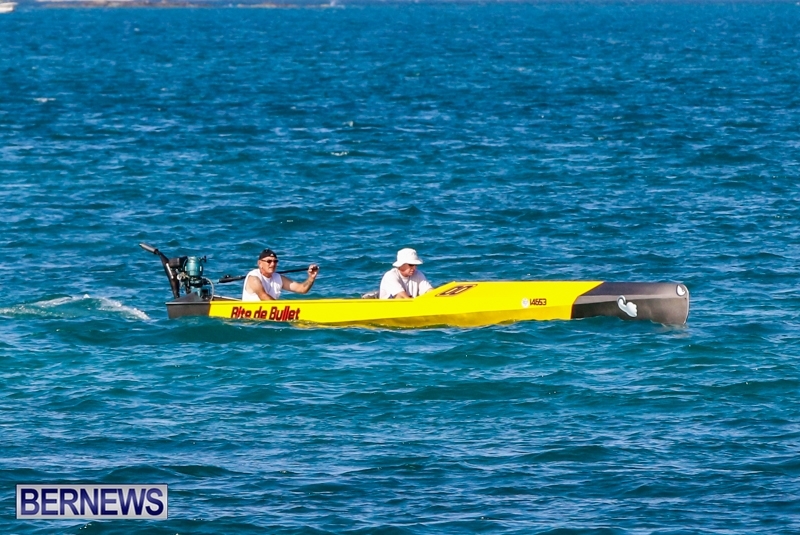 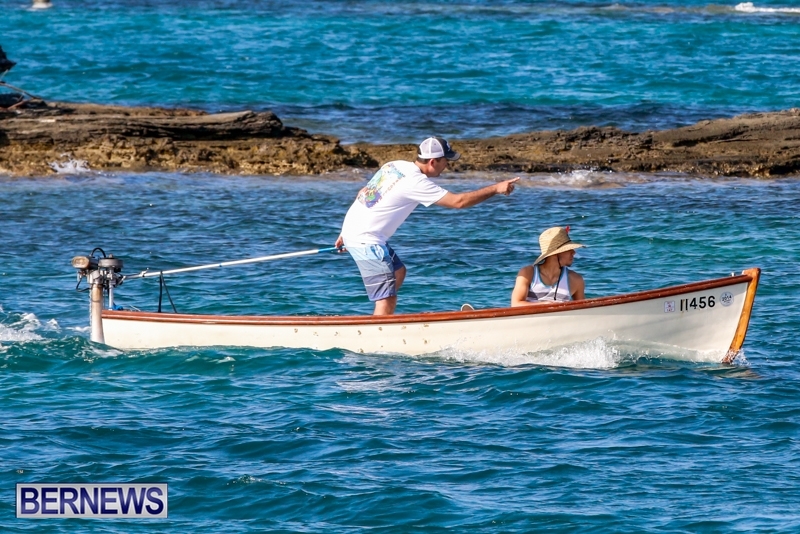 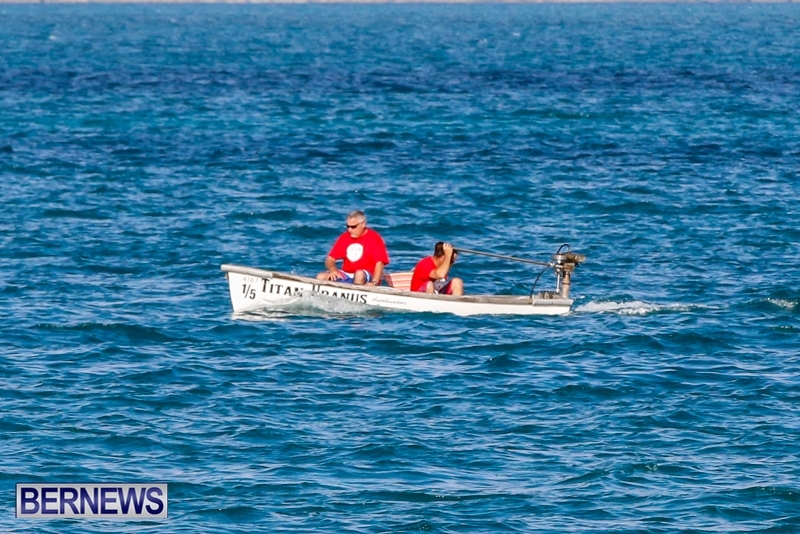 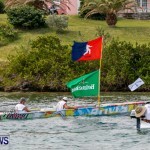 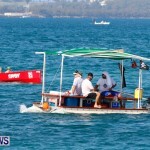 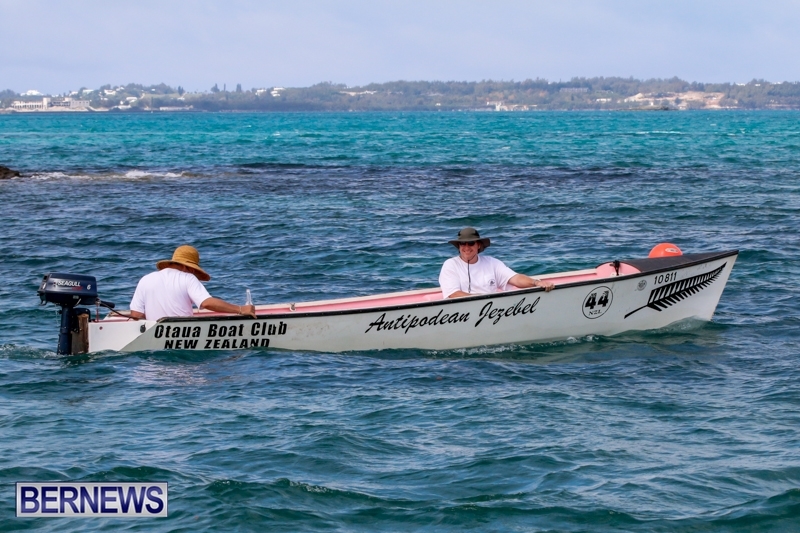 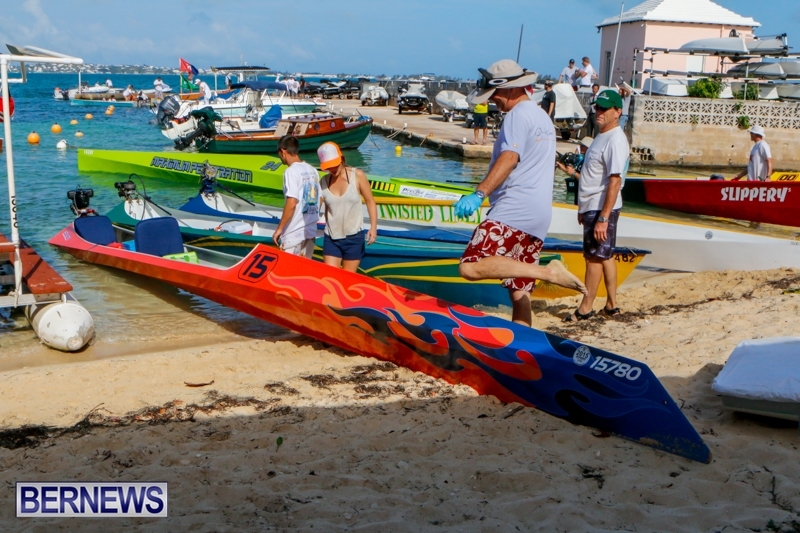 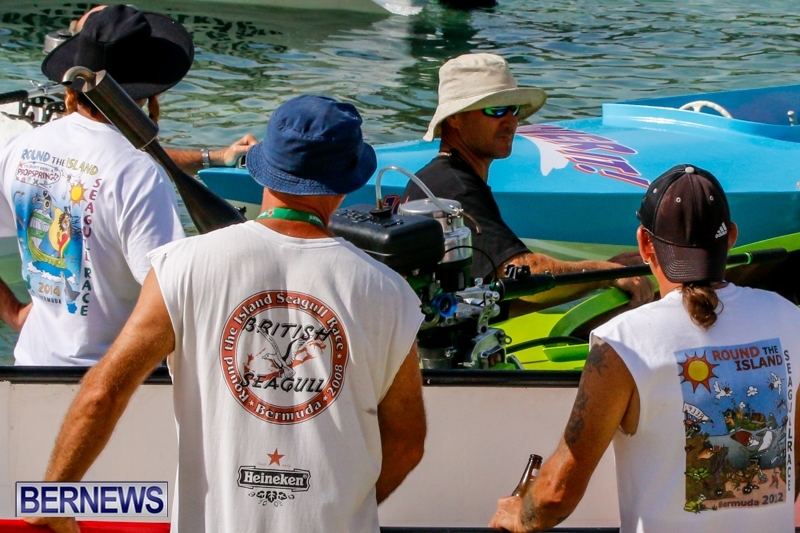 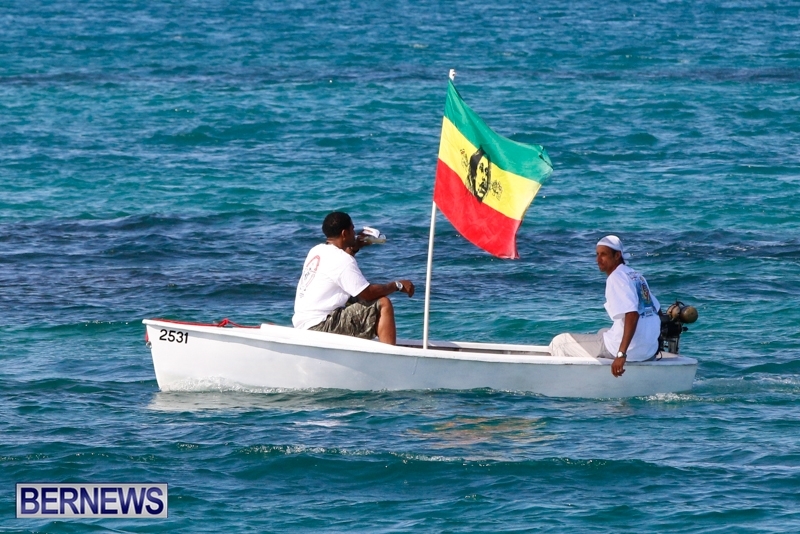 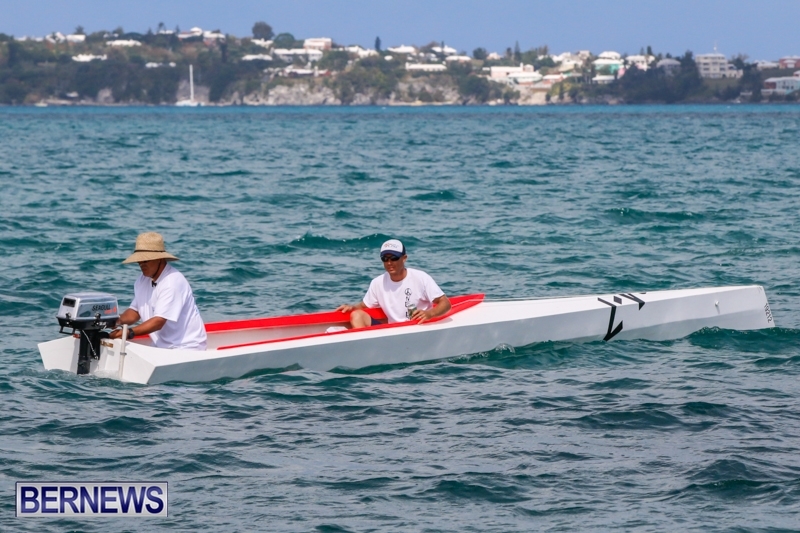 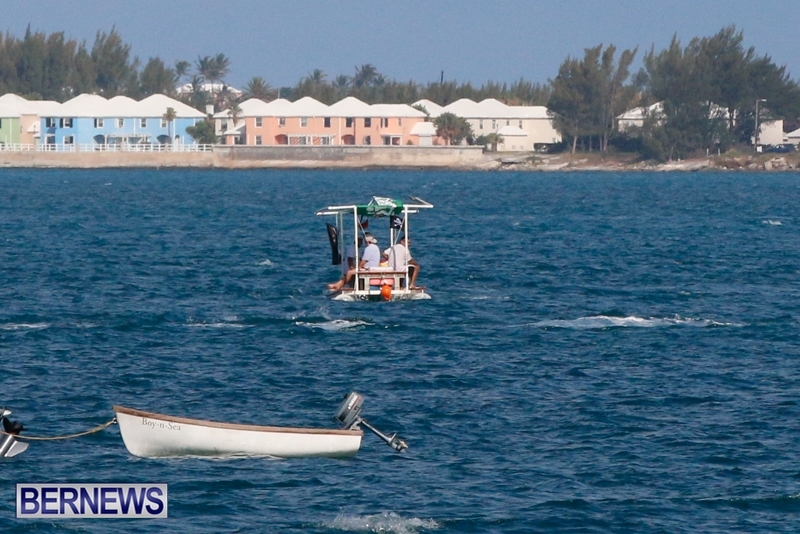 The 2014 Seagull Round-The-Island Race was recently held with boats starting and finishing at the Spanish Point Boat Club. 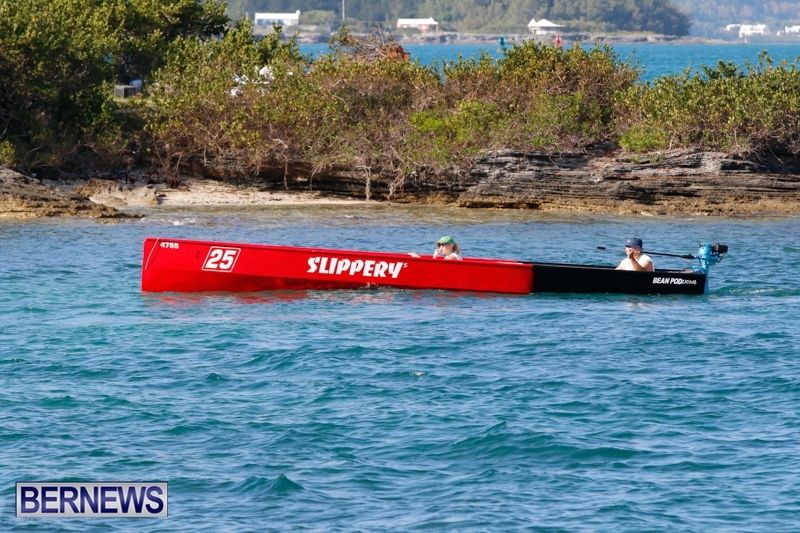 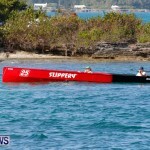 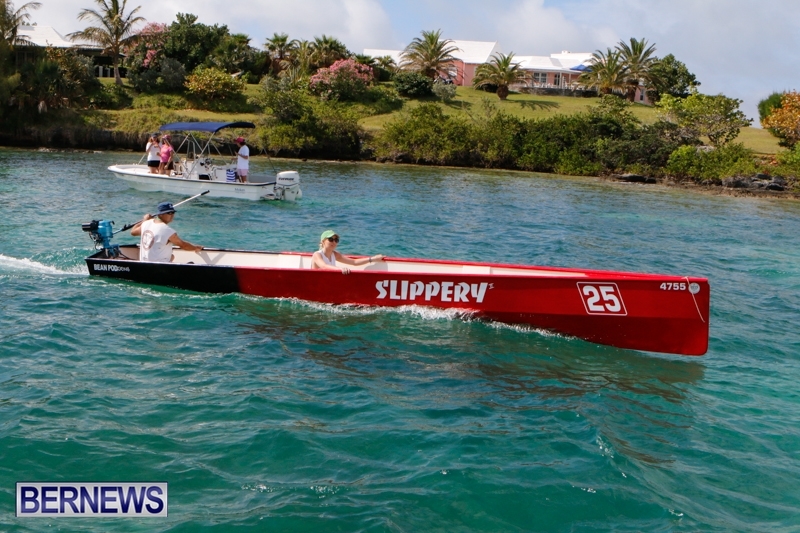 Michael Bean in Slippery won the Gray Cup for fastest elapsed time [excl. 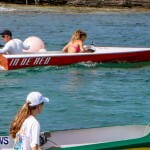 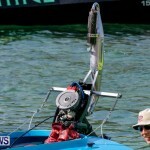 classes G, H] while first boat across the line with a prop spring and stock engine [A, B, E1A, E1B] was Ding Gull Berry. 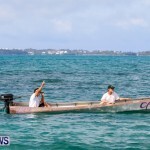 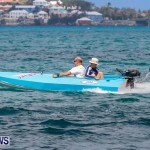 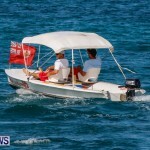 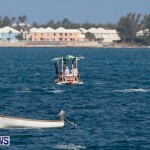 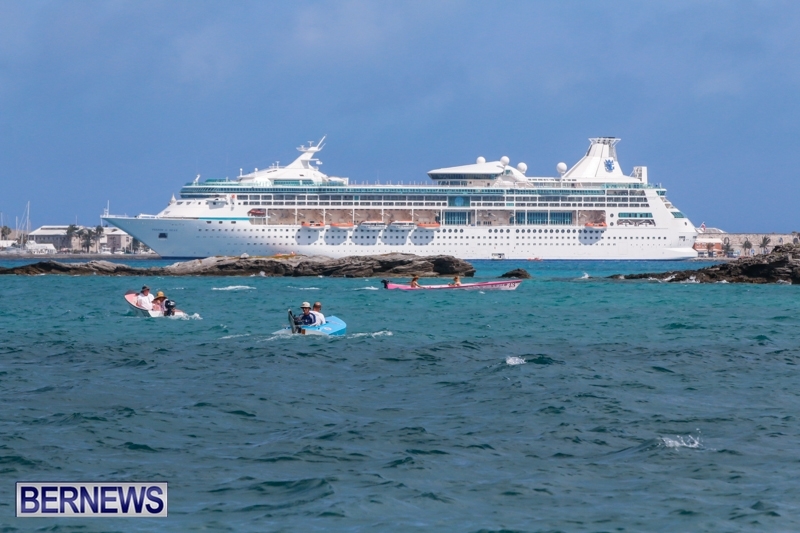 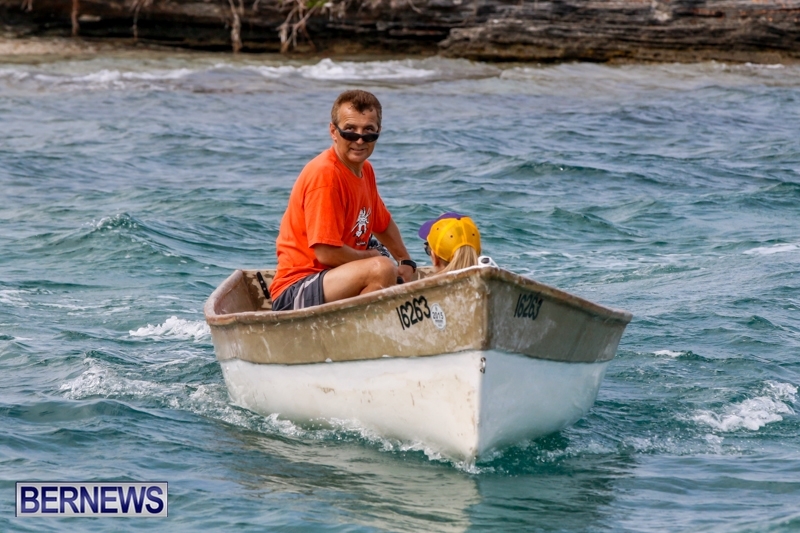 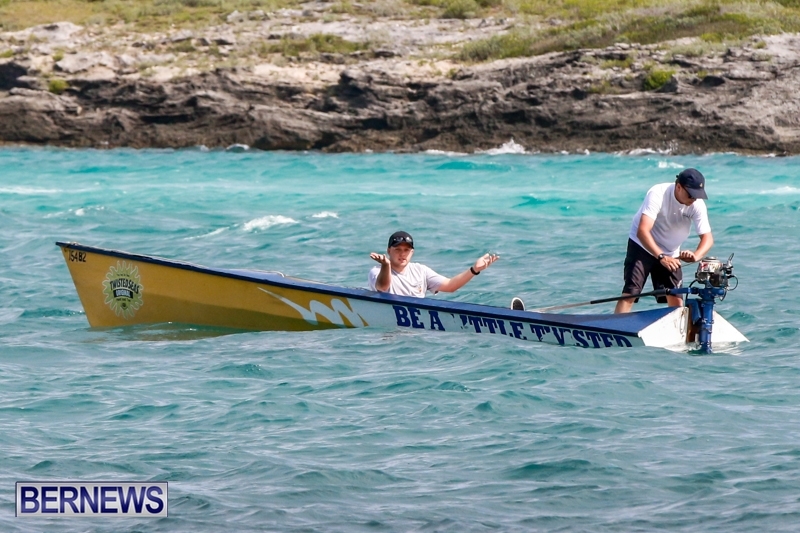 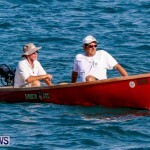 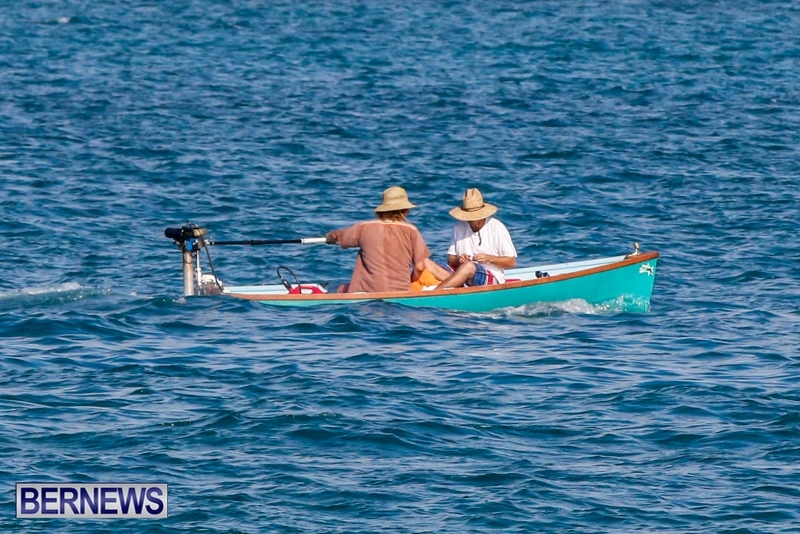 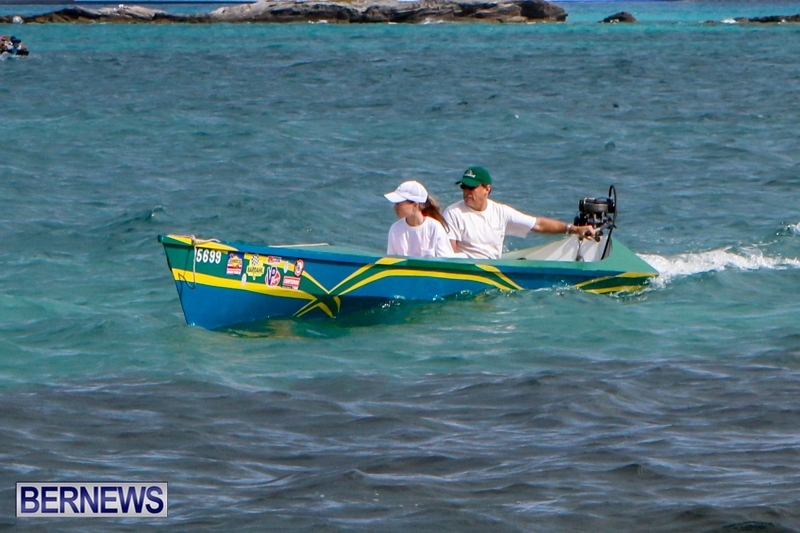 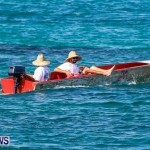 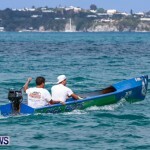 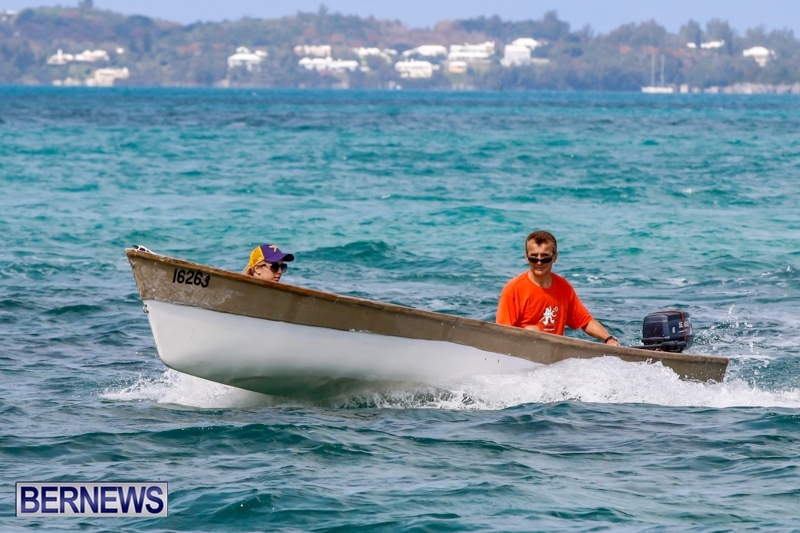 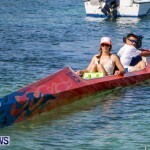 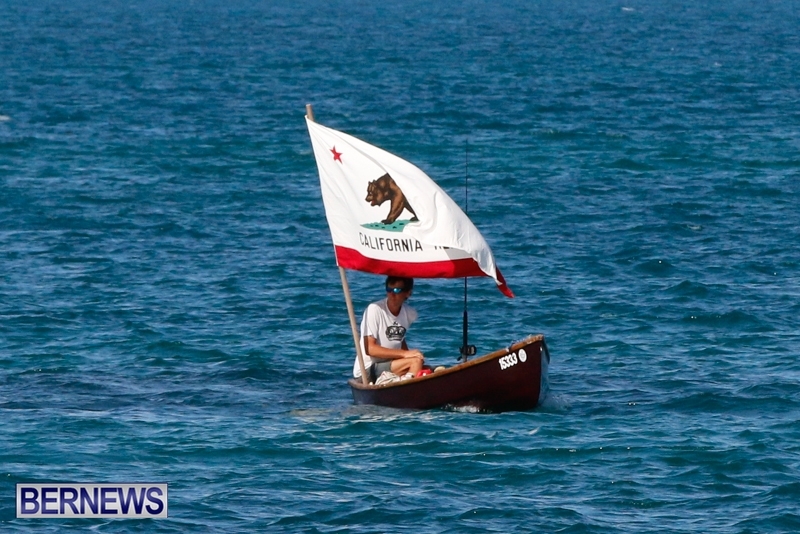 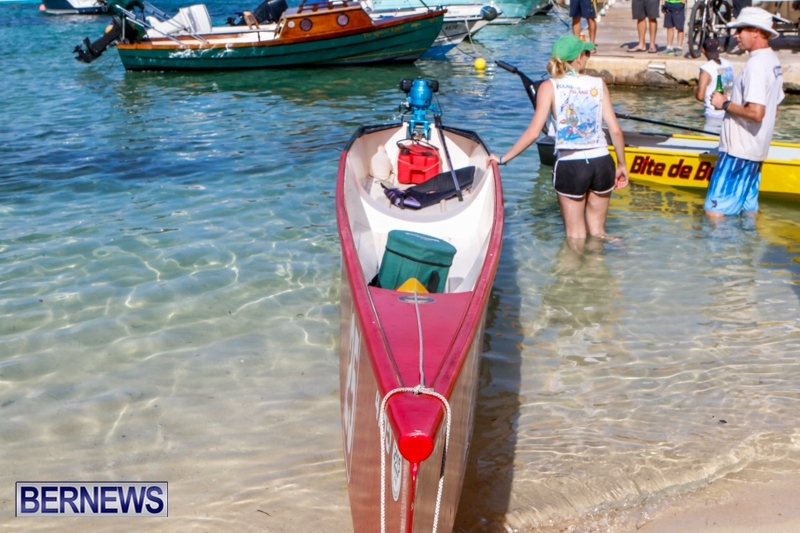 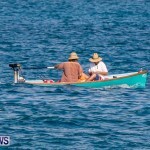 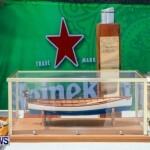 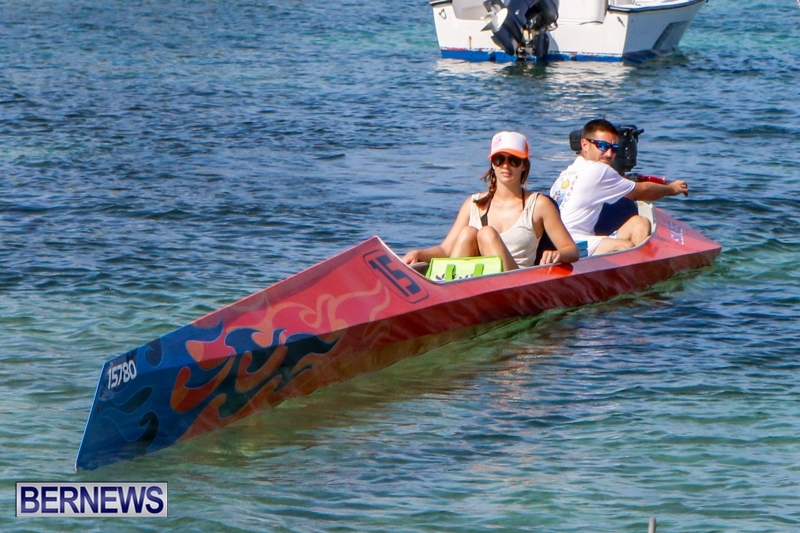 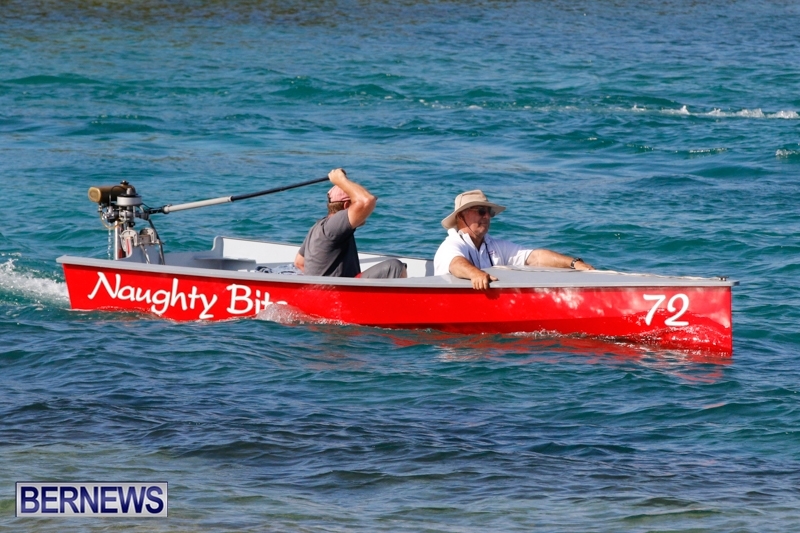 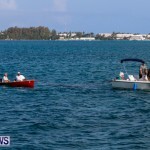 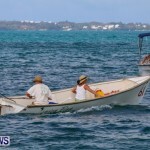 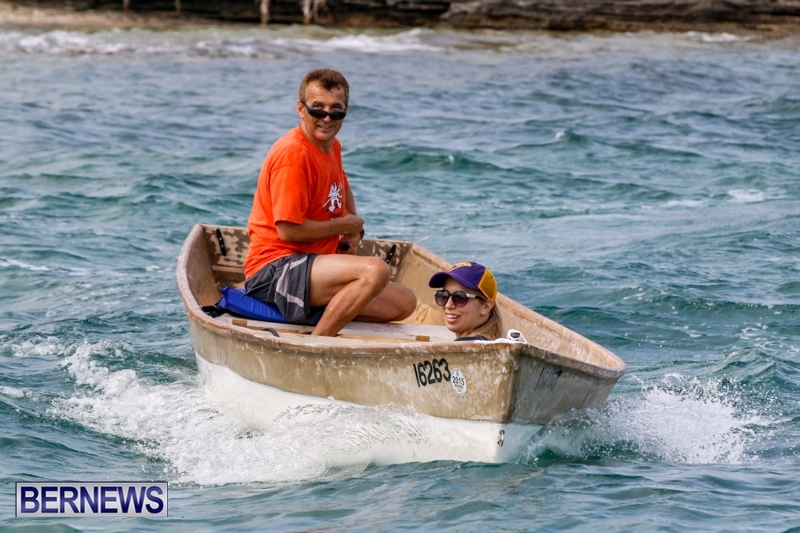 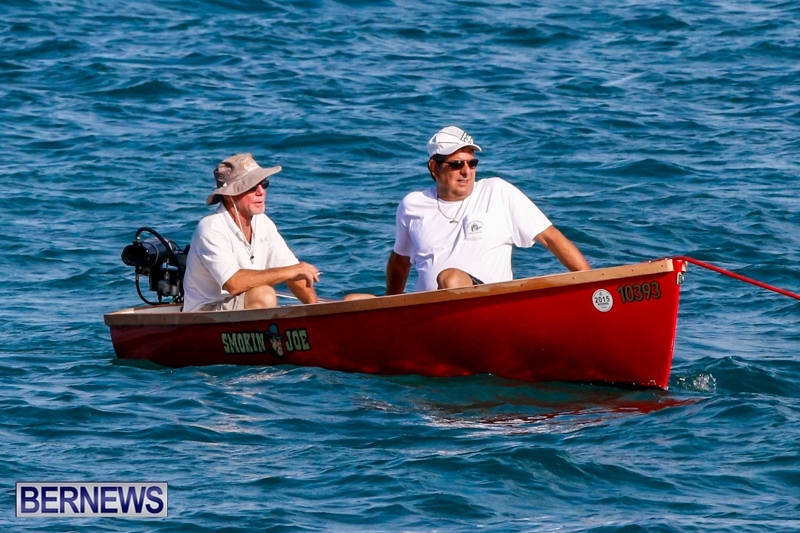 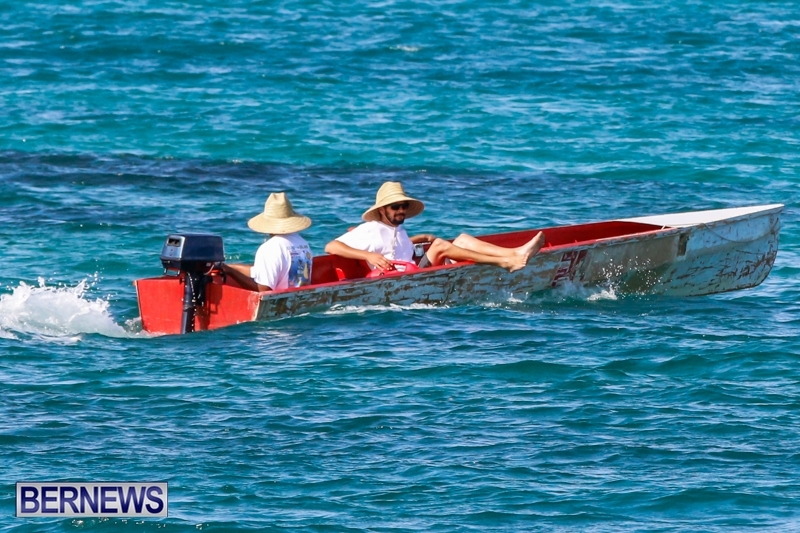 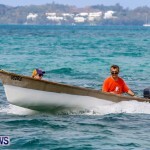 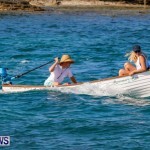 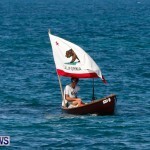 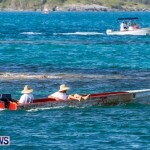 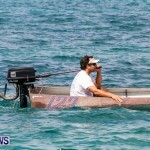 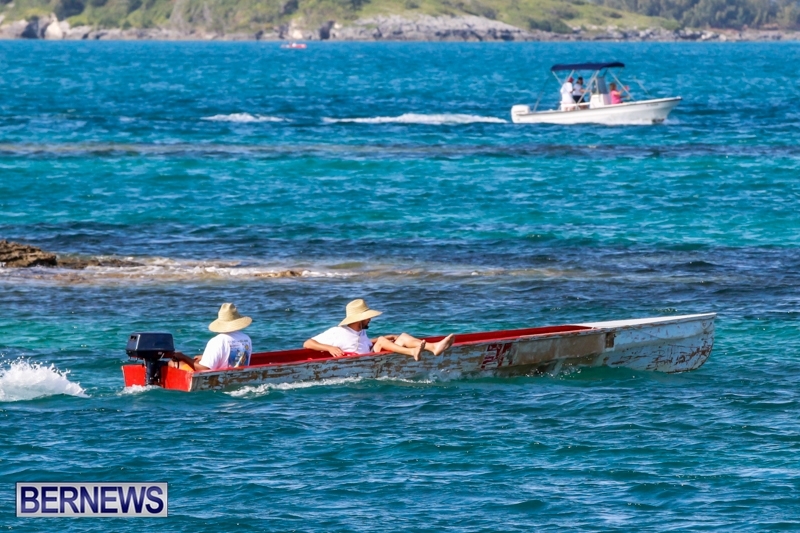 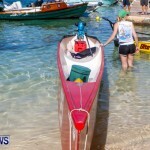 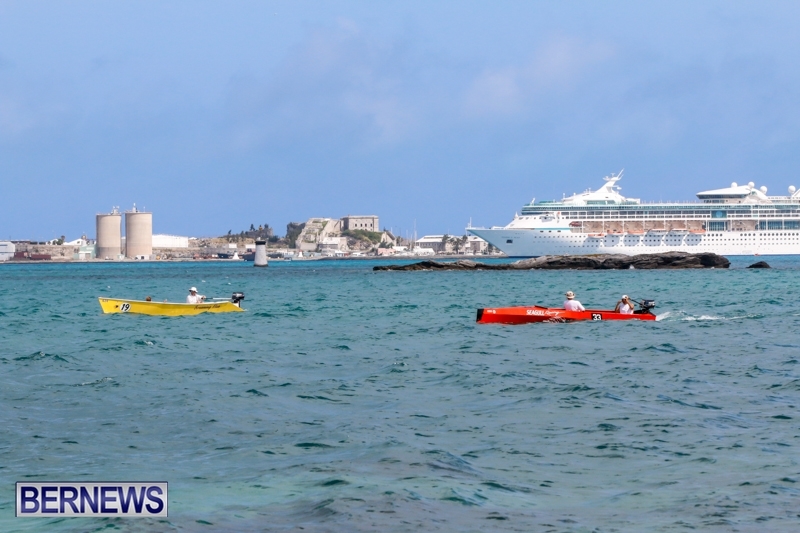 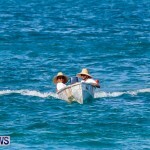 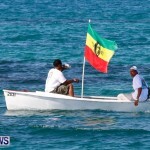 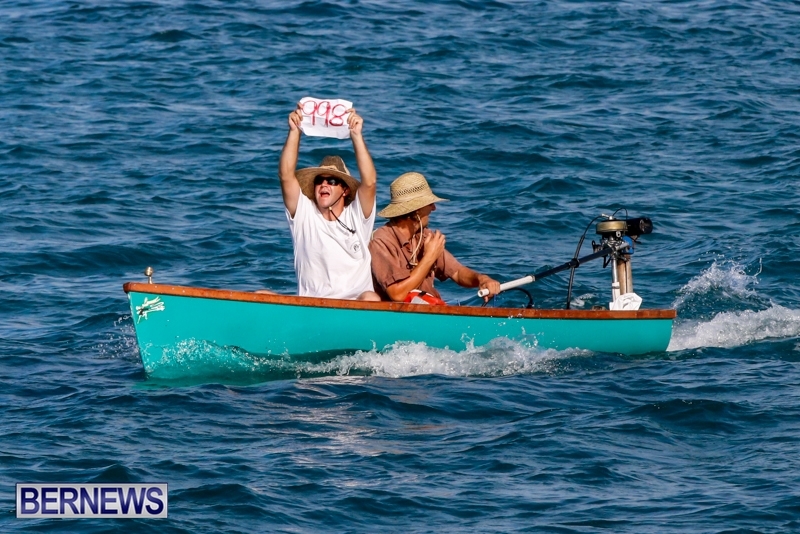 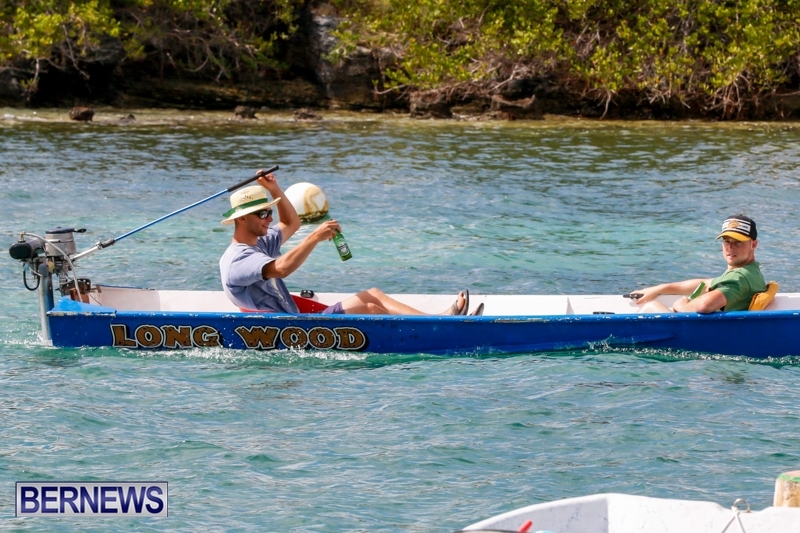 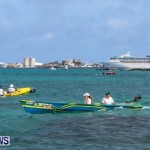 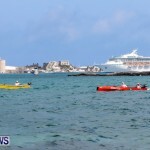 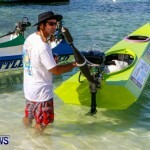 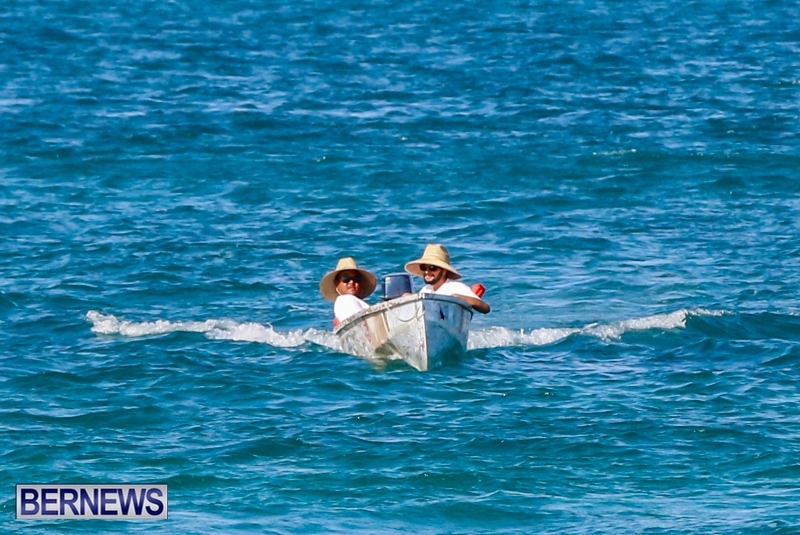 Keith Bridges in Friendship had the first traditional wood dinghy to go around the island. 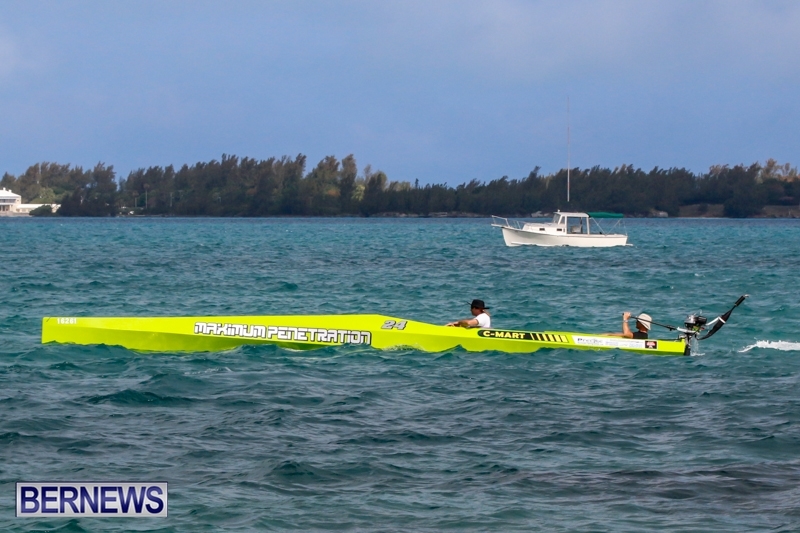 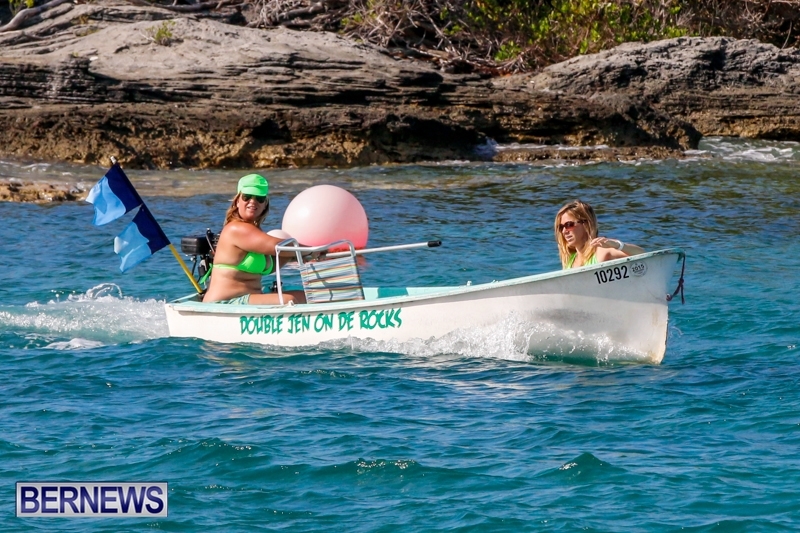 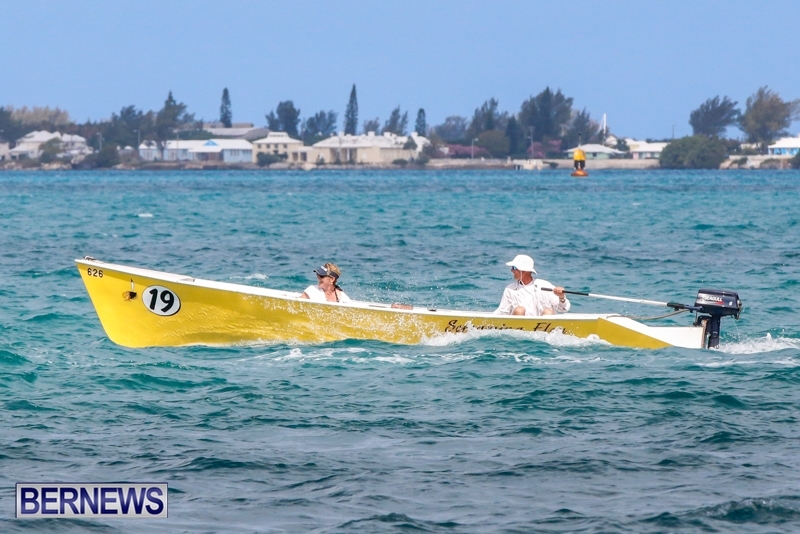 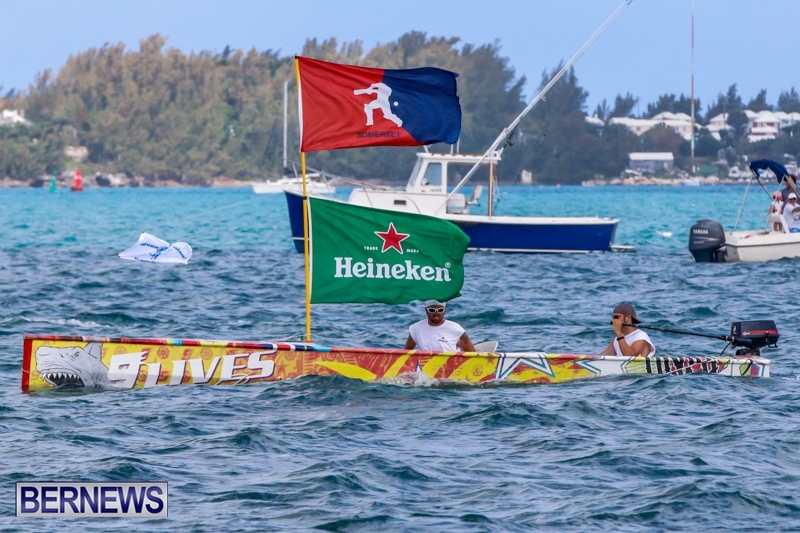 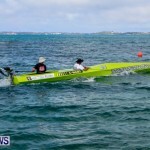 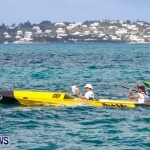 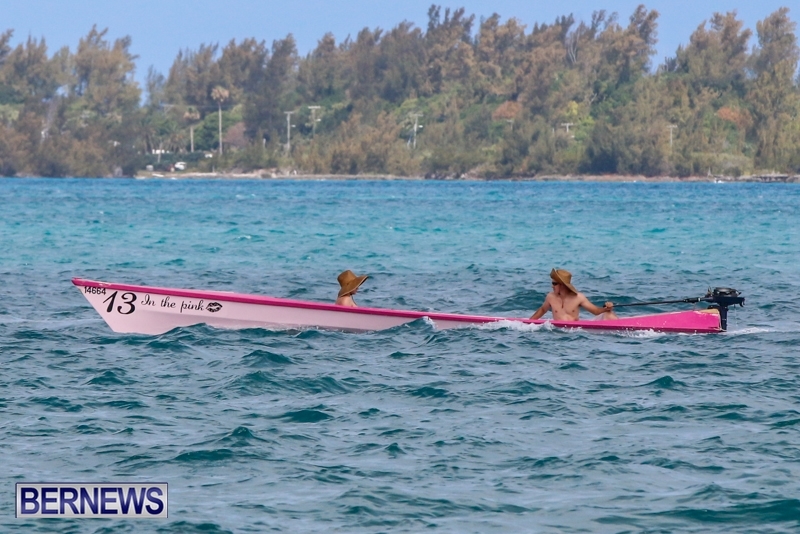 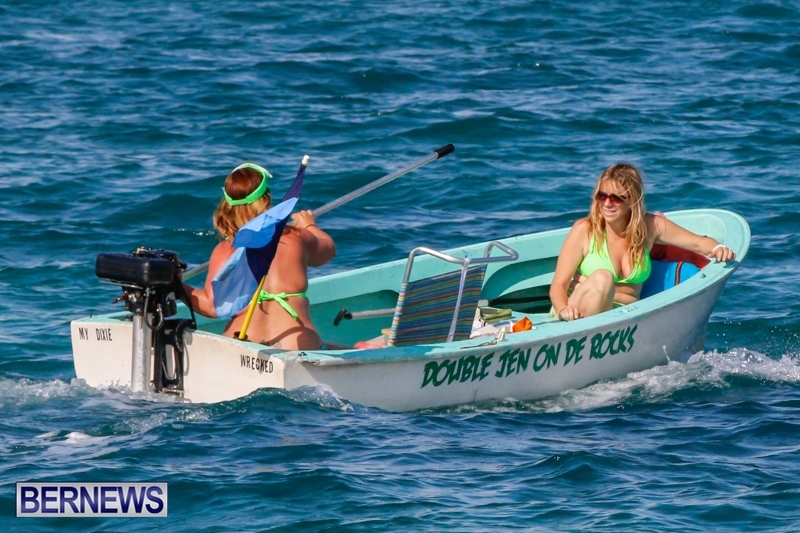 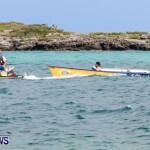 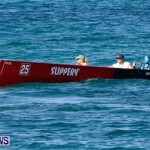 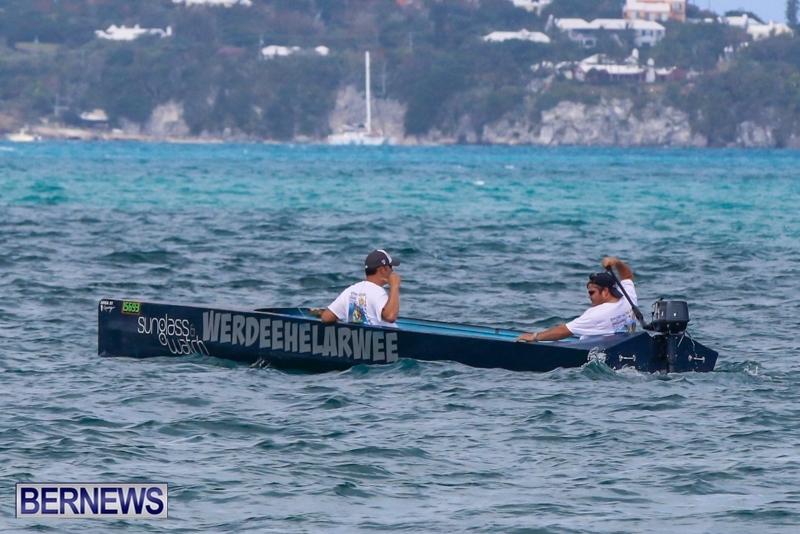 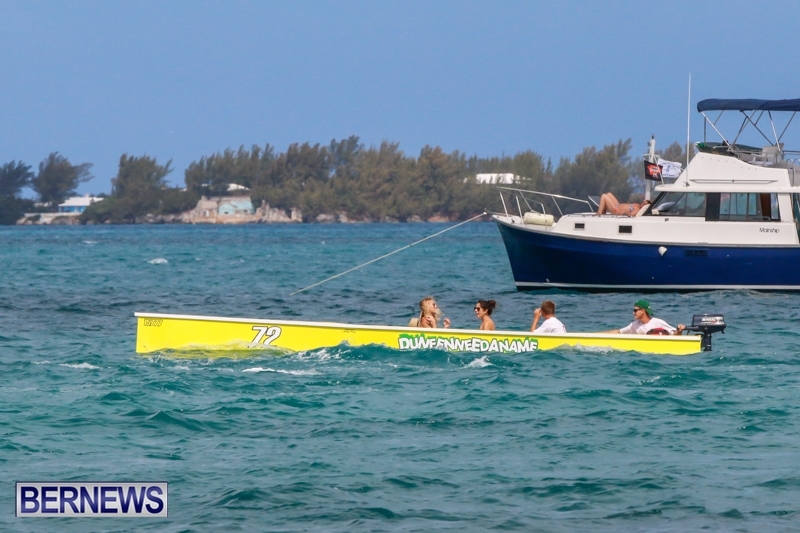 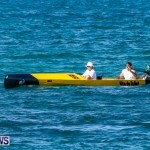 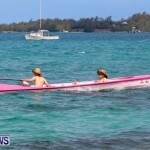 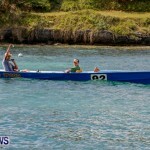 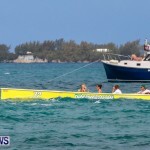 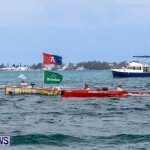 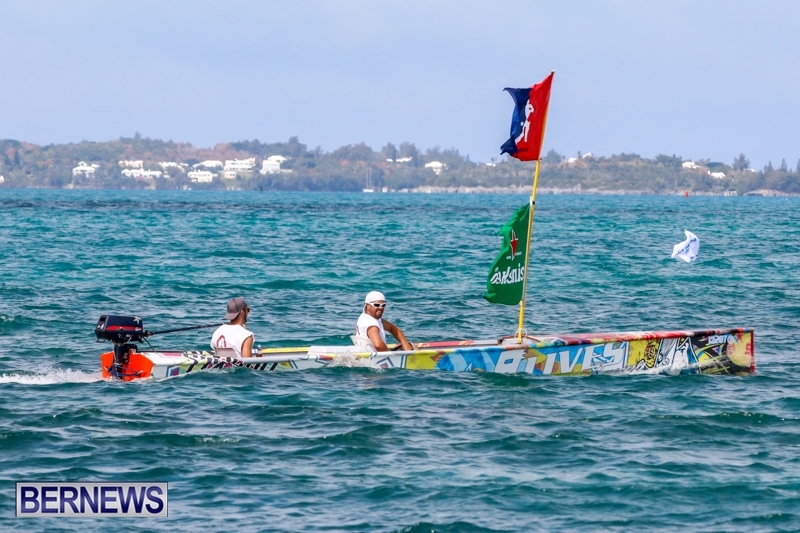 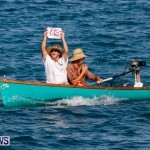 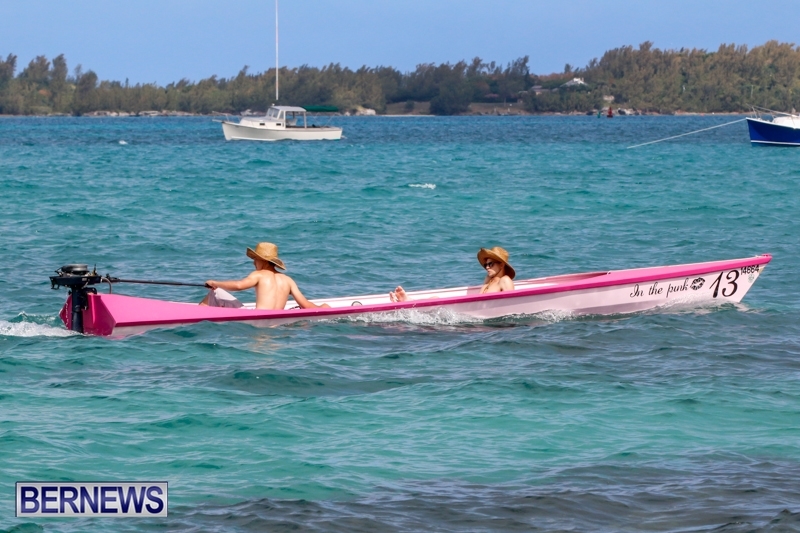 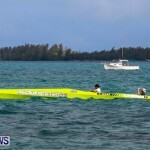 Daniell Lightbourn and Pansy Olander won the Harrison/Williams Shield for first all female crew to cross the line. 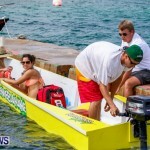 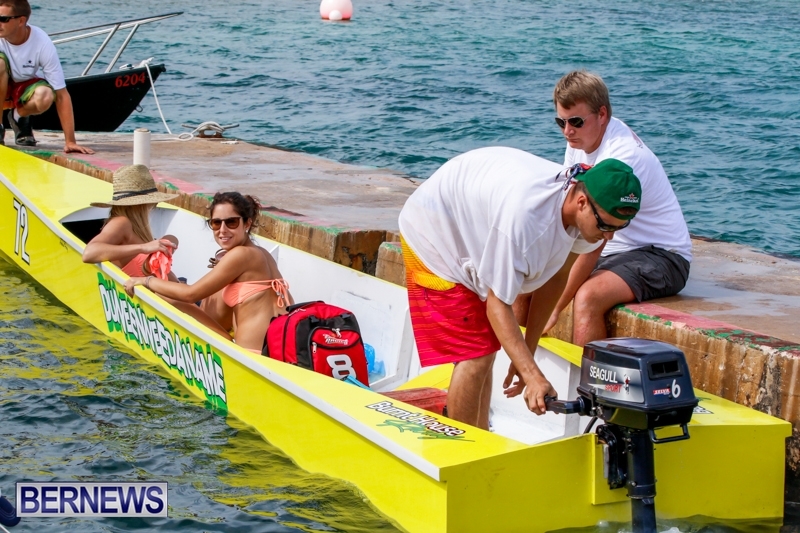 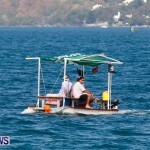 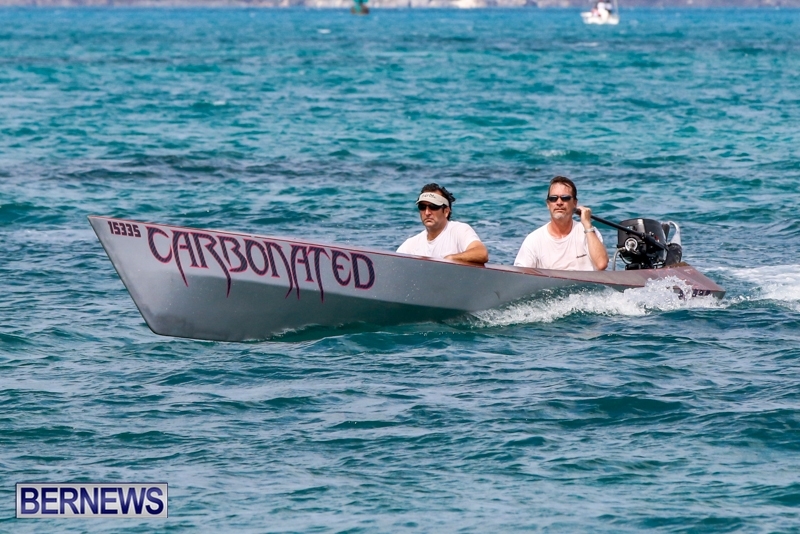 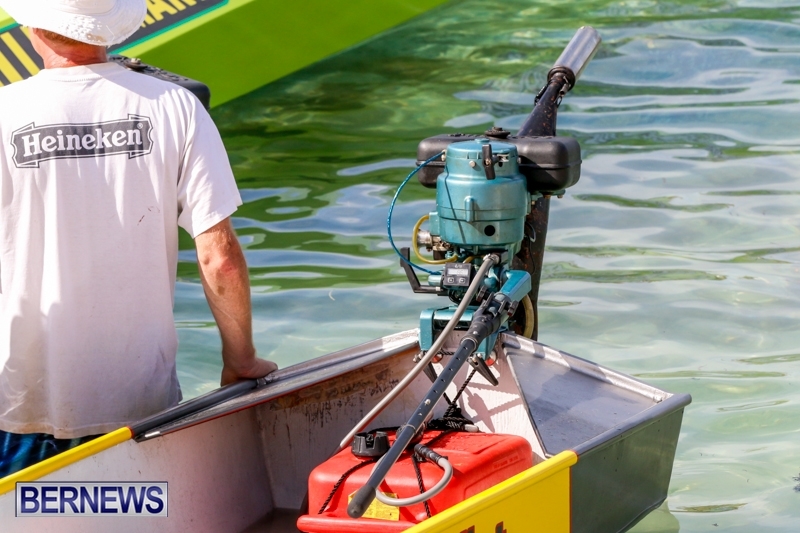 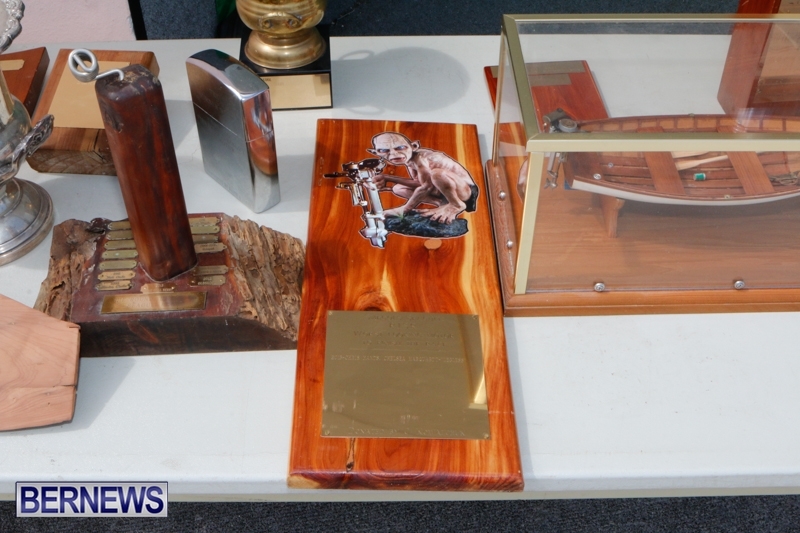 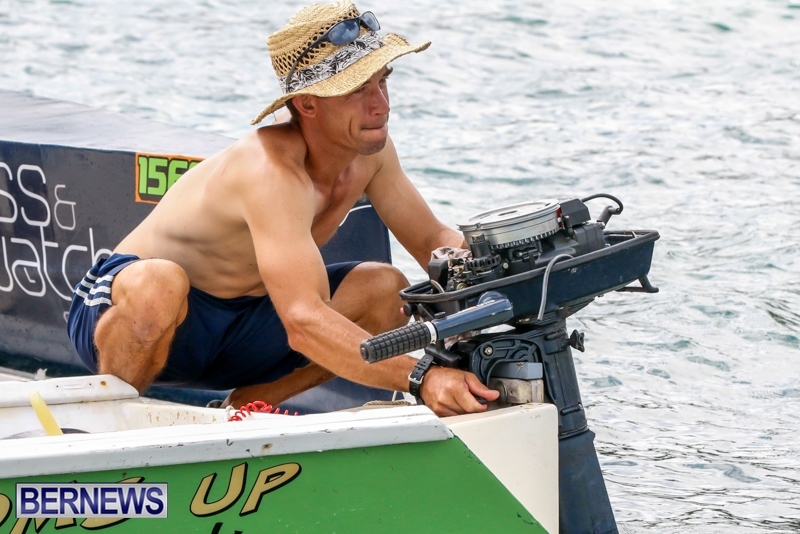 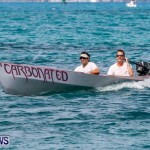 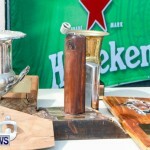 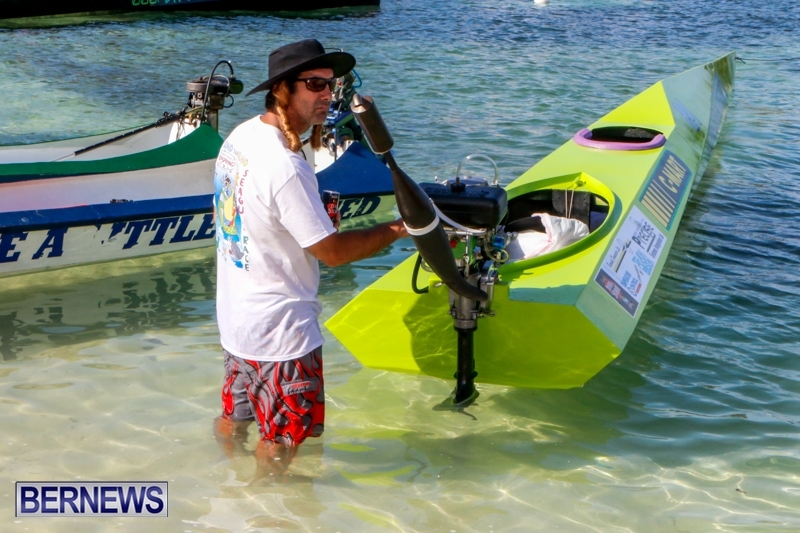 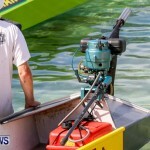 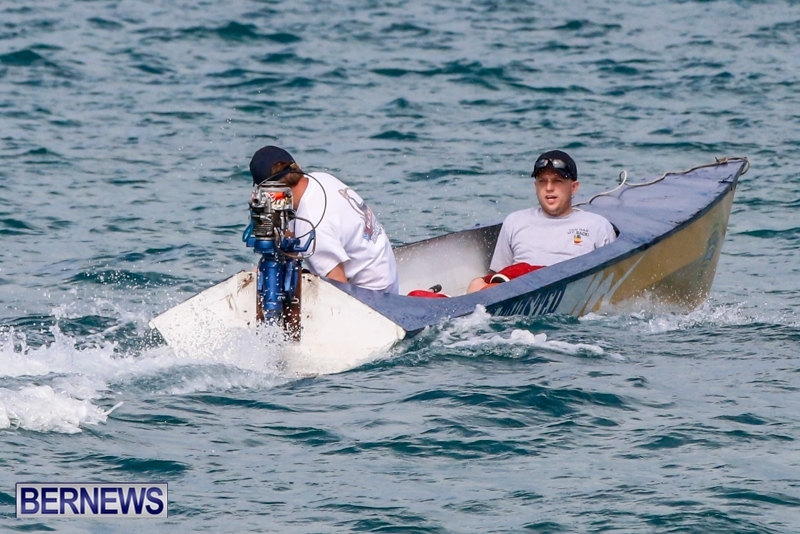 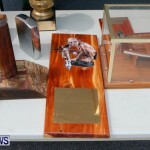 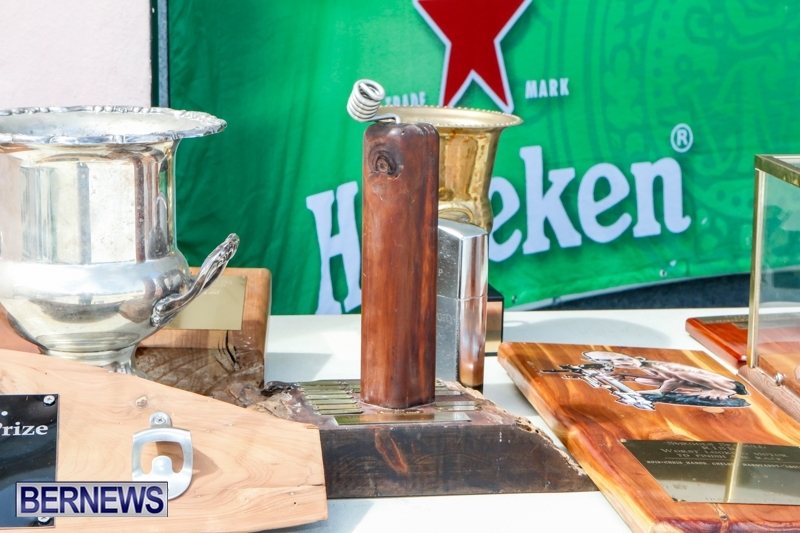 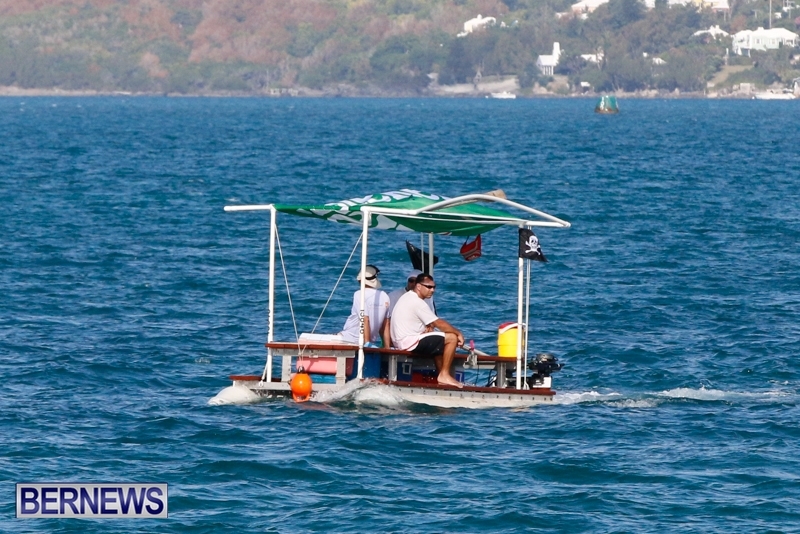 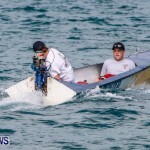 The first boat reported as broken down honour went to Joey Sousa in Smokin Joe winning the Na Work on Sunday Trophy while Stephen Cabral in Unfinished Business took the Kowalchuk Smeagol Trophy for ugliest engine. 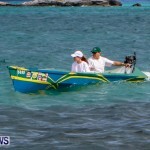 Unfinished Business was also the only boat to catch a fish. 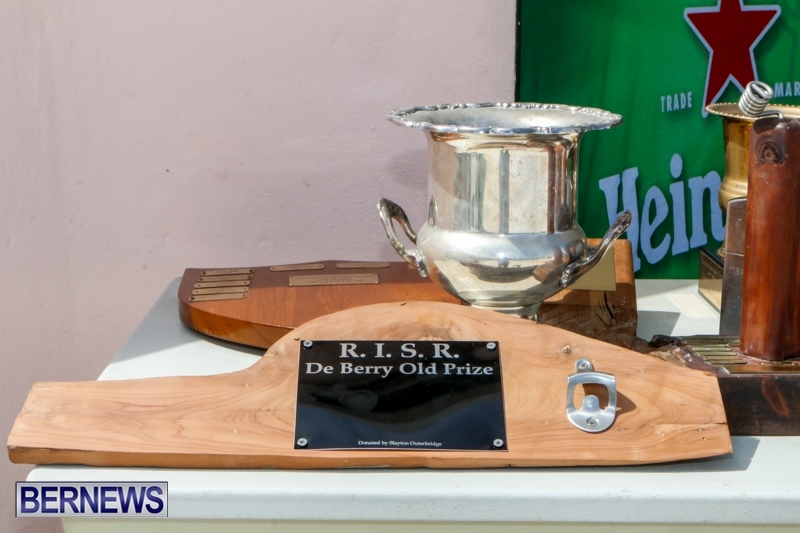 A complete list of all entrants and times can be found here [PDF] and the list of trophy winners can be found here [PDF]. 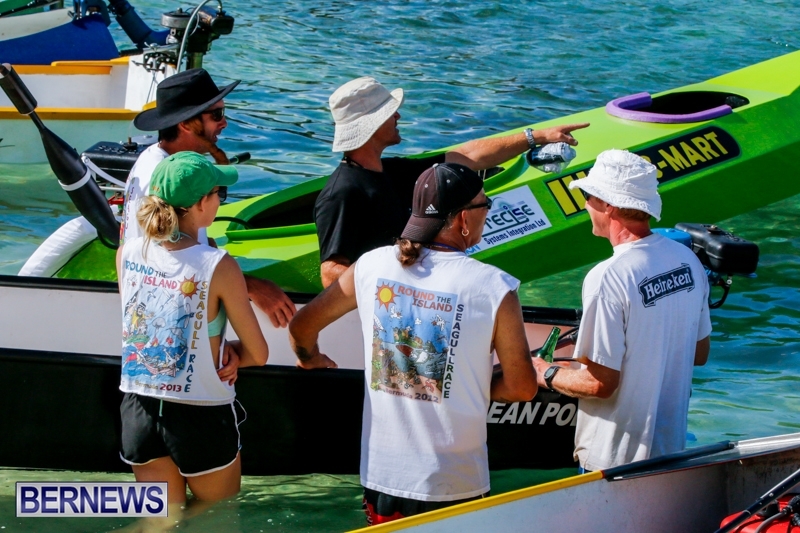 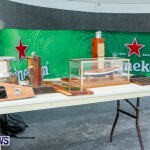 Our first set of photos can be found here.